Facebook Page is #1 in the World! 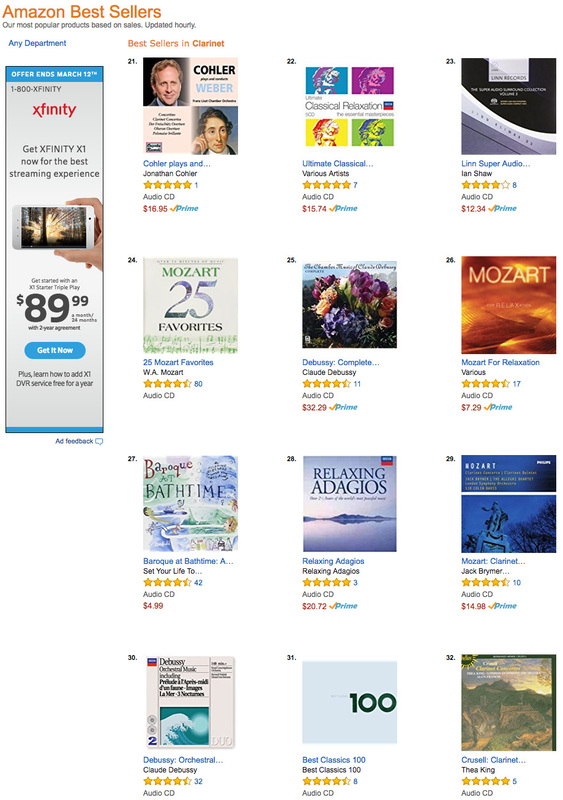 Topping the Weber, Indie, and Clarinet Charts! 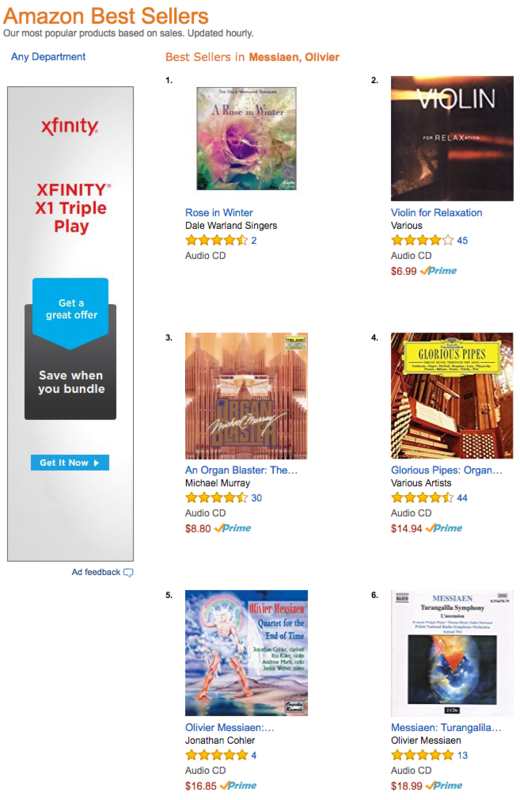 Topping the Charts on Amazon! 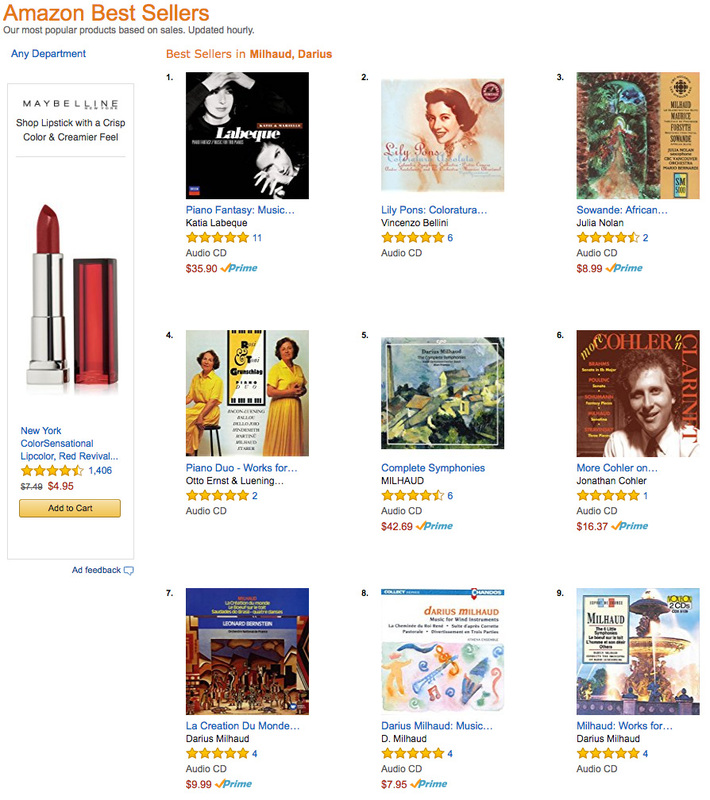 WNED "Best CDs of Year"
• Topping the Amazon Classica Charts! 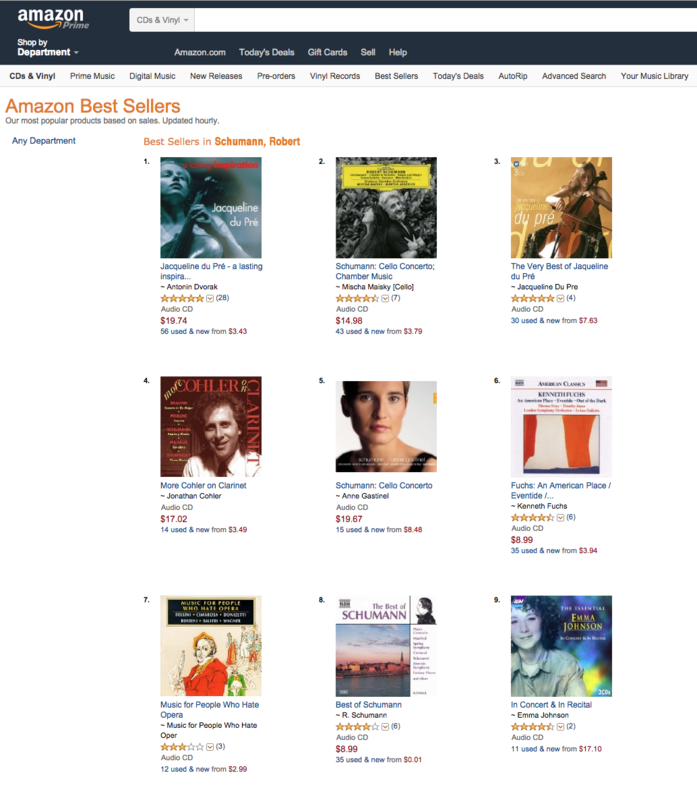 • Amazon Best Seller CDs! • My Facebook Page is #1 in the World! 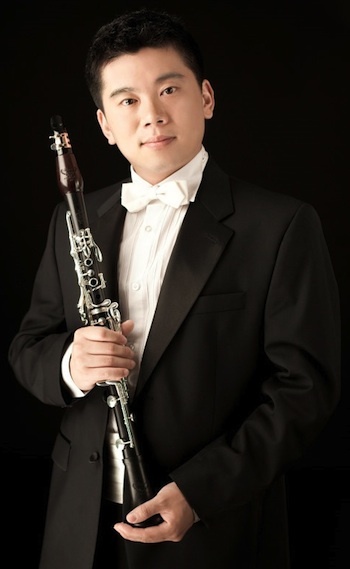 #1 Facebook Page for classical clarinet passes 62,000 fans! My Fan Page on Facebook just passed the 62,000-fan mark, maintaining it’s position as the #1 classical clarinetist page on Facebook in the world, and continuing to grow in popularity faster than ever. Thank you to all my friends, fans and supporters for helping me to reach this milestone!! 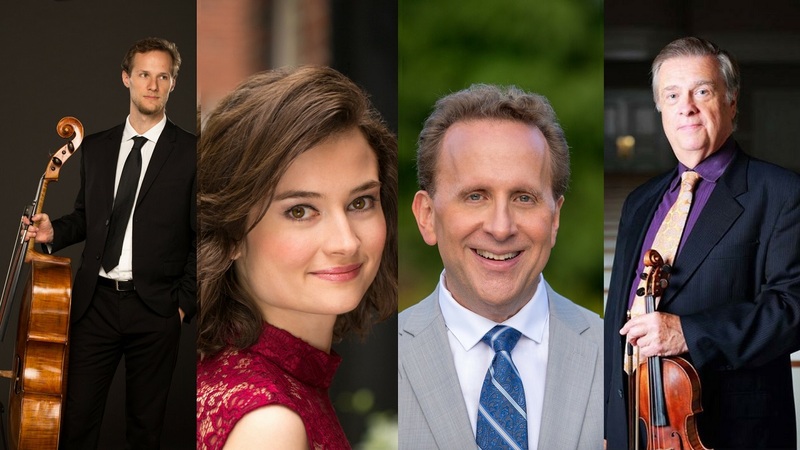 In the final concert of the 2017-2018 Music for Peace series, Boston’s newest chamber music ensemble, Chamber Music Boston, perform works for clarinet, violin, cello and piano, including Beethoven’s Clarinet Trio, Op. 11, Bartok’s Contrasts, and Stravinsky’s L’Histoire du Soldat. I am very excited to perform with world-renowned violinist Jamie Buswell, multiple prize winning pianist Rasa Vitkauskaite, and Concert Artists Guild winning cellist Sebastian Bäverstam. We will also present interesting historical introductions to each work on the program making it an exciting evening for all! 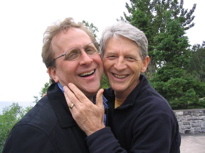 The	concert benefits the Massachusetts Peace Action Education Fund. Last season co-Artistic Director Rasa Vitkauskaite and I founded Chamber Music Boston and we have plans for many chamber music combinations to come. Stay tuned! 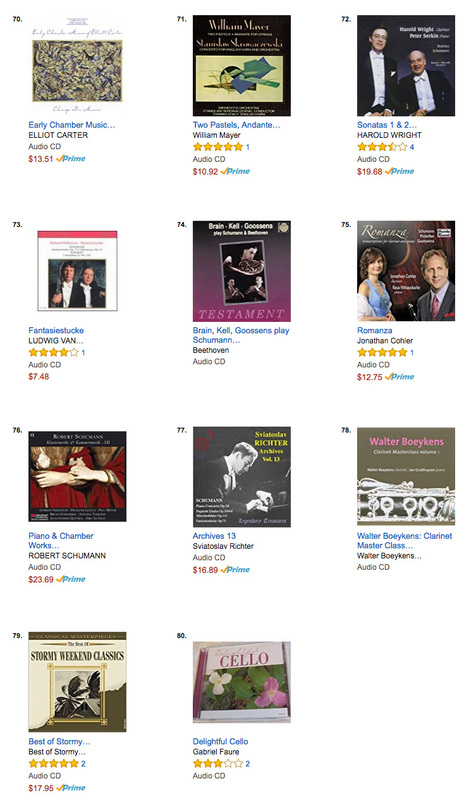 T hanks to my friends and fans all over the world, my Weber CD has made it to #3 on the Amazon Weber Charts above Leonard Bernstein, Arthur Fielder, and Arturo Toscanini! 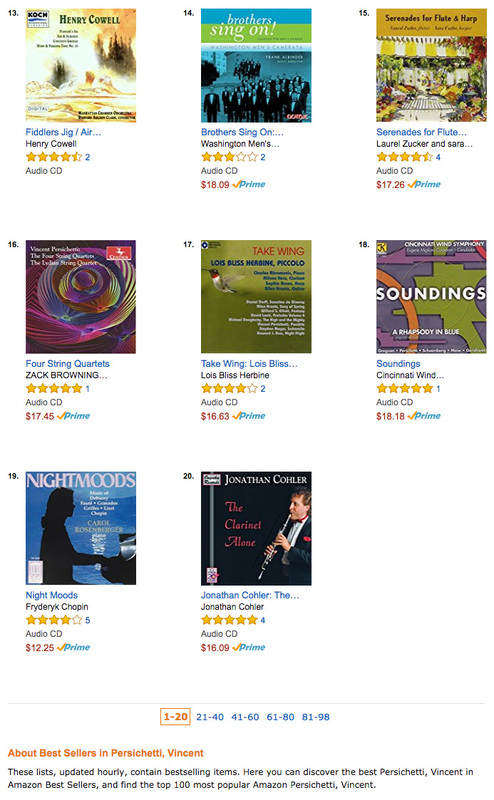 It is also top 20 in all of Indie Classical, and is at #21 on the Clarinet Charts! To listen to samples, read more about the CD, see photos, and buy it click here. 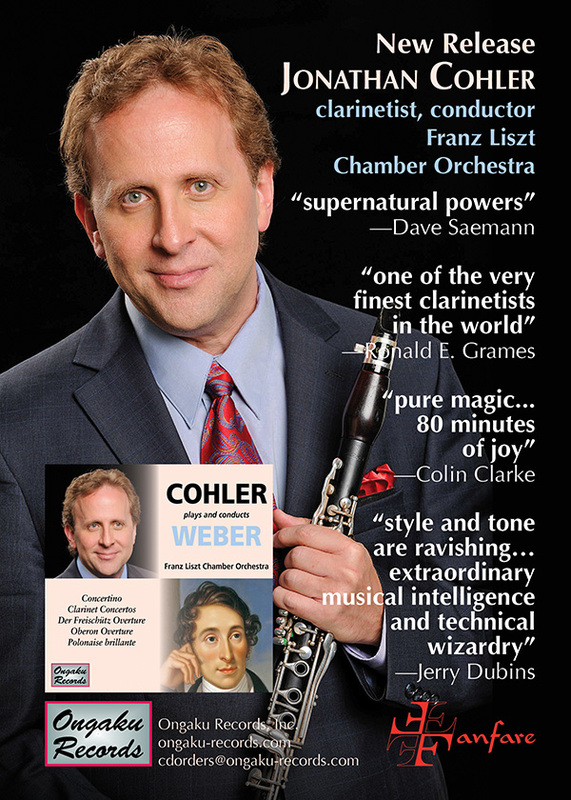 The March-April issue of Fanfare Magazine features a bunch of great reviews of my new CD Cohler plays and conducts Weber!Because the issue is current, I believe all of those reviews are accessible to the public. In case you would like to read more than what the Ongaku Records ad shows here, you can click here for the four reviews excerpted at left: Dave Saemann, Ronald E. Grames, Colin Clarke, and Jerry Dubins. Also, for those who want to learn more about me, there is a great feature article interview with me by Carl Maria Verdino-Süllwold. If you are interested in getting the CD either in hard copy, digital download, or streaming, it is available at Amazon, CD Baby, iTunes (and Apple Music), Google Play, Ongaku, and many other resellers on the web. You can also click on the ad at left to see a larger version! Thank you for your support! 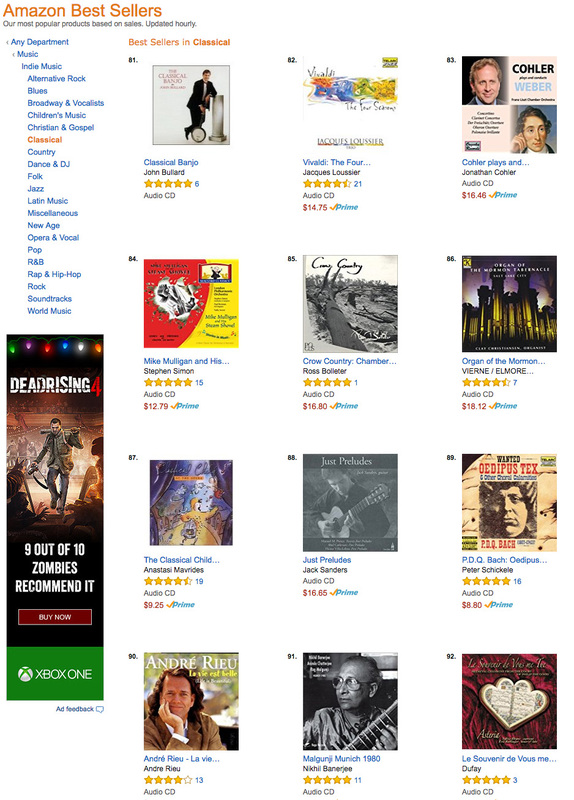 M y CDs are doing great on the Top 100 Bestseller lists at Amazon thanks to all my fans and friends who make this possible! 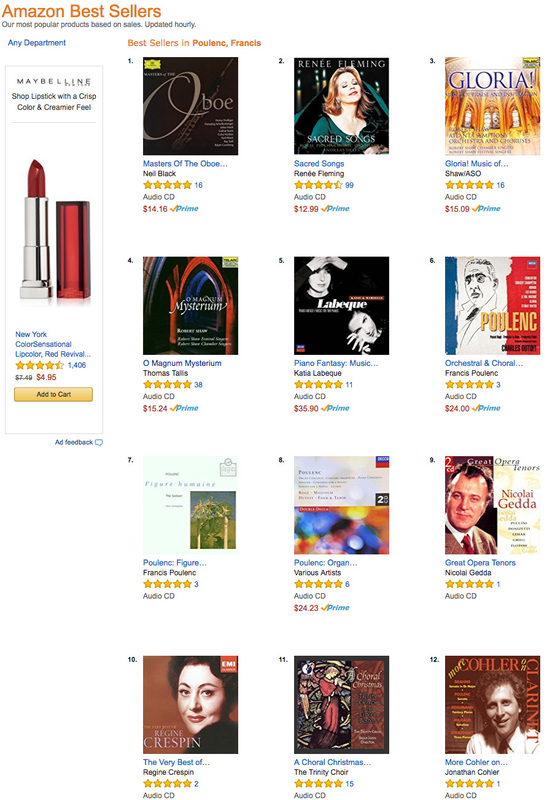 As of January 7, More Cohler on Clarinet was #2 on the Schumann list next to Jacqueline Dupré, #12 on the Poulenc list, and #6 on the Darius Milhaud list! 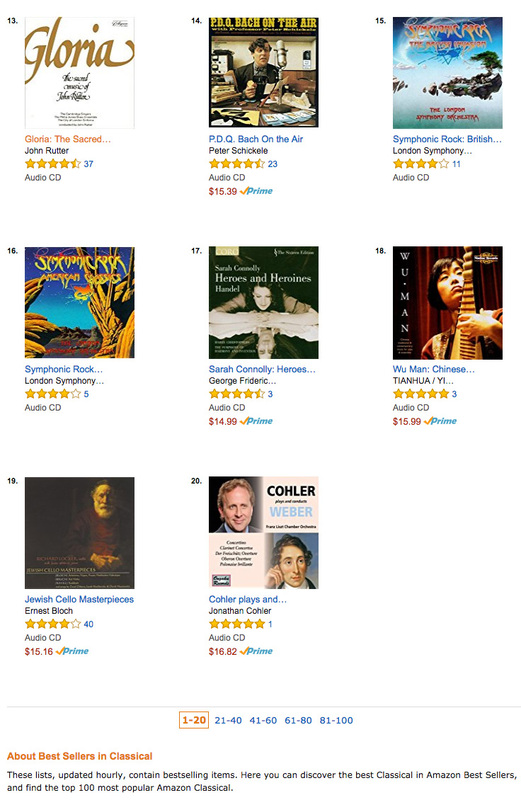 As of January 6, my very first CD, Cohler on Clarinet was at #62 on the Weber list! 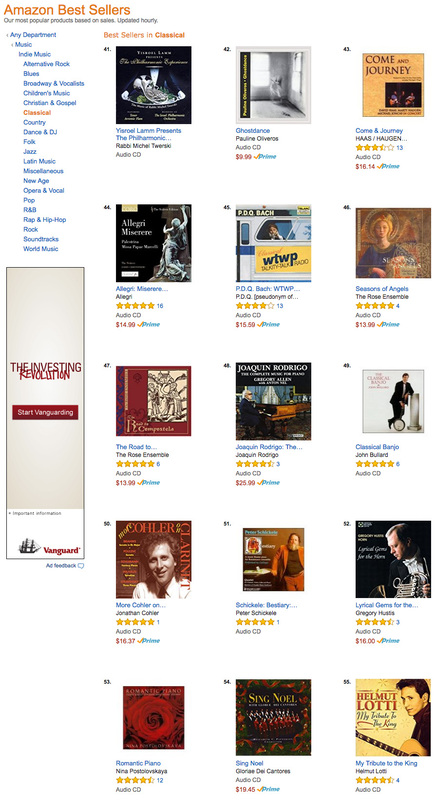 As of December 29, my new Weber CD was in the TOP 100 of Amazon's Independent Classical at #83 and on December 20, it was #52 in Clarinet alongside colleagues present and past Richard Stoltzman, Karl Leister, Sabine Meyer, Michael Collins, Jack Brymer, and Joaquin Valdepeñas! 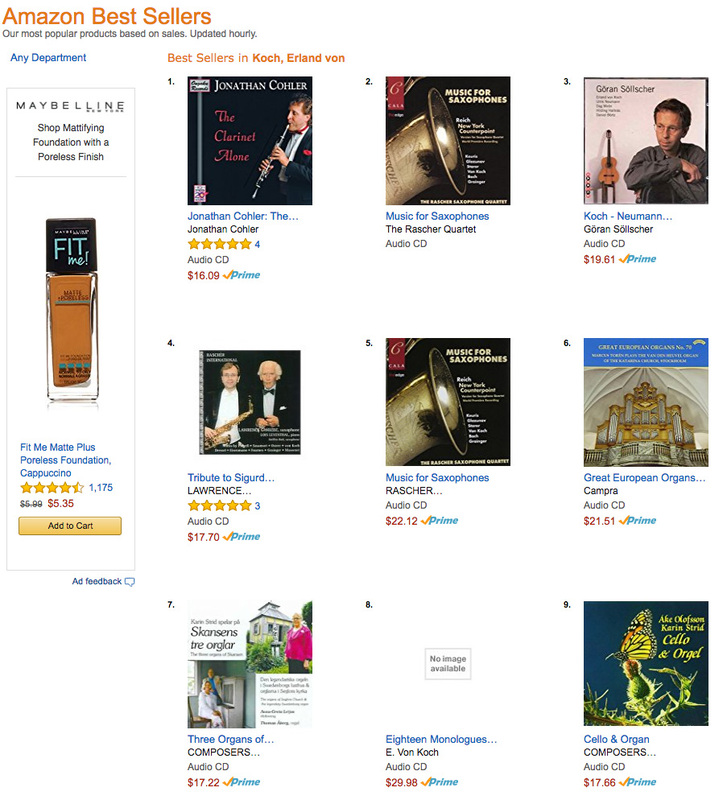 On December 8, my Messiaen CD was at #5 on the Messiaen list, #1 of all recordings of the Quartet for the End of Time, and #24 among all clarinet recordings just above colleague Martin Frost's excellent recording of the Mozart Clarinet Concerto! See below for more rankings from December 8 and click on the links to see where they are now! 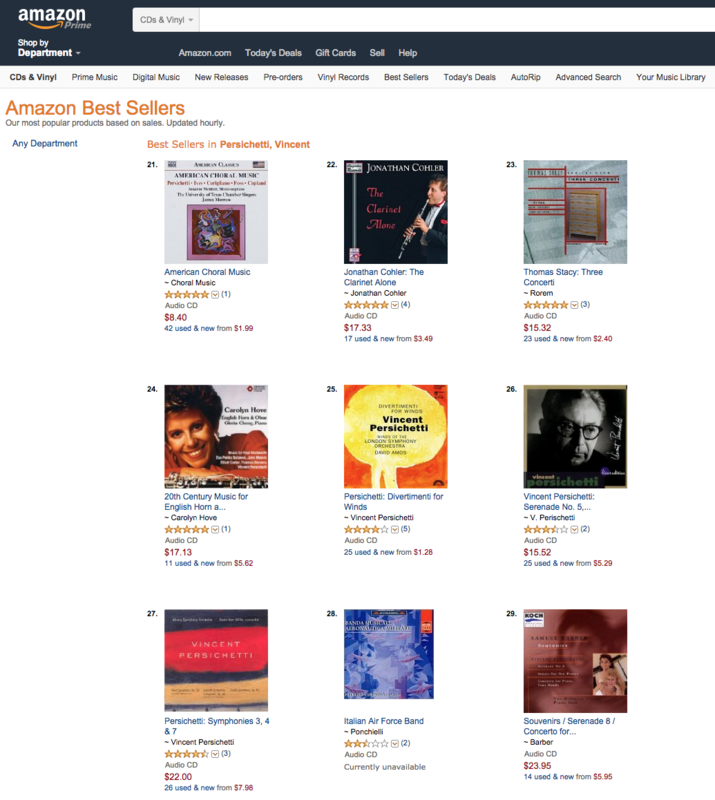 Or click on the covers to buy on Amazon! T chaikovsky Competition Gold Medal violinist Ilya Kaler joins me and my amazing pianist Rasa Vitkauskaite, on Friday December 2 at 8:00 p.m., in an exciting concert of trios for violin, clarinet, and piano. The program includes Contrasts by Bela Bartók, L'Histoire du Soldat by Igor Stravinsky, and the amazing Klezmer Trio by Paul Schoenfield. We will provide entertaining and informative introductions to each work in the intimate setting of the New School of Music, and all audience members are invited to a meet-the-artists reception after the concert. Seating is limited so get your TICKETS NOW HERE. For directions and parking information click here.This concert is the inaugural performance of Chamber Music Boston, Boston's newest chamber music ensemble. 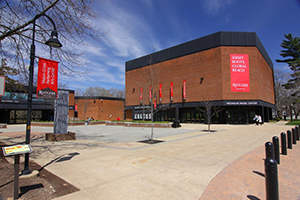 Join us also on Monday, November 28 from 5 to 6:30 p.m. for a masterclass at Rutgers University in Schare Recital Hall, Marryott Music Building, 81 George Street (parking at 85 George Street), New Brunswick, New Jersey, followed by a concert at 8 p.m. in Nicholas Music Center, 85 George Street. The program includes works by Rabaud, Poulenc, Cahuzac, Lutoslawski, Guastavino, and D'Rivera and student tickets are only $5! On Monday, November 28 from 12:15 to 1:30 p.m. 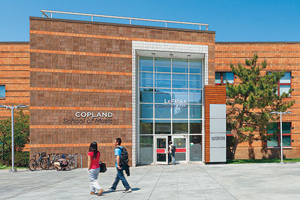 I will be doing a masterclass at the Aaron Copland School of Music of Queens College in Flushing, New York. The class will be held in Room 226 of the Music Building for anyone who can come. 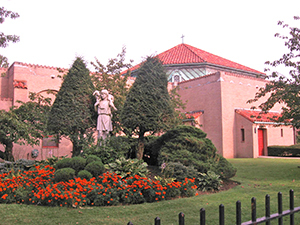 Join us for a Thanksgiving Weekend concert at 6 p.m. on Sunday, November 27 when we return to Brooklyn for the 20th season of the “Music from Good Shepherd” concert series at Good Shepherd Roman Catholic Church, 1950 Batchelder Street, Brooklyn, New York. The exciting and varied concert program includes Rabaud Solo de Concours, Poulenc Sonata, Cahuzac Arlequin, Lutoslawski Dance Preludes, Guastavino Tonada y Cueca, and Sargon KlezMuzik. For more information on the whole series, click here or call or email 718-998-2800, gsrcc@aol.com. 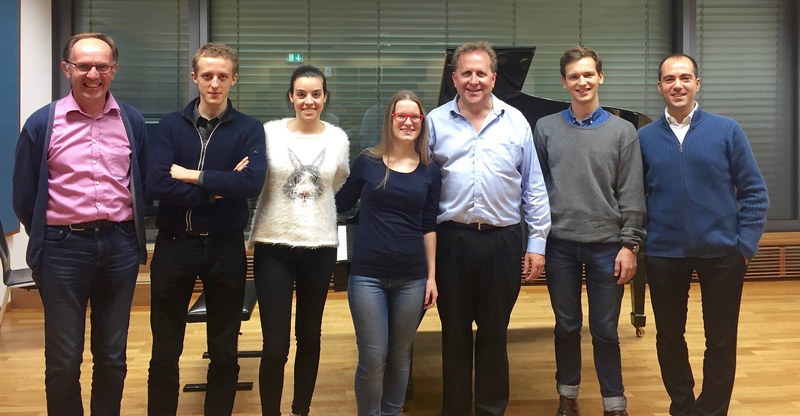 O n November 18 and 19 I gave masterclasses for the clarinet students of the renowned Mozarteum University in Salzburg, Austria, where I was invited by Berlin Philharmonic Principal Clarinetist Wenzel Fuchs. The students were fantastic, the facilities were wonderful, the food was magnificent, and it was such a pleasure to finally get to see this famous city and birthplace of Wolfgang Amadeus Mozart. Thank you to Wenzel and to Dario Zingales, who so expertly organized everything and made my visit a great pleasure. I look forward to many future trips back to this wonderful city. Pictures CLICK HERE. I had an amazing time joining the renowned Arianna String Quartet to play Mozart’s Clarinet Quintet on Sunday, August 21, 2016 at 2pm on the Saint Gaudens Summer Concert Series in the Little Studio at Saint-Gaudens National Historic Site, 139 Saint Gaudens Road, Cornish, NH 03745. The performances carry on a tradition by renowned sculptor Augustus Saint-Gaudens, who often held concerts in his studio for family and friends. Arianna was incredible. I look forward to playing with them again soon! 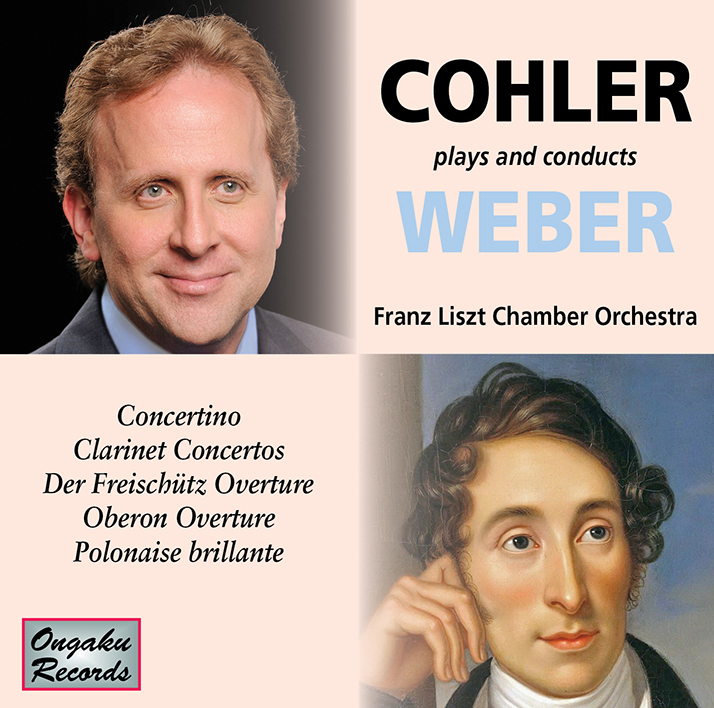 My latest CD Cohler plays and conducts Weber (Ongaku 024-126) was released on August 15 and is already receiving rave reviews! I am very excited about the project which has been many years in the making. It features the latest scholarship on the Weber Concertino and two concertos including all of my own ornamentations, cadenzas and the like. Beyond the concertos and Concertino, the CD also includes the overtures from two of Weber’s most well known operas: Der Freischütz and Oberon. 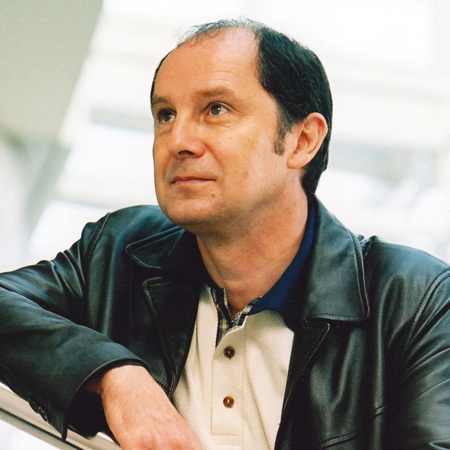 The last work on the CD, Polonaise brillante was chosen to represent Weber’s pivotal works for piano, which were such an important part of his career and contribution to the music world. The piano soloist on the Polonaise is none other than my amazing duo partner and multiple award winning Lithuanian pianist Rasa Vitkauskaite.The CD is available on Ongaku Records, Amazon, CD Baby, iTunes, Apple Music, Google Play, and most CD vendors around the world. You can also listen to sound samples and see pictures as well as this cool short promo video we made during the sessions. 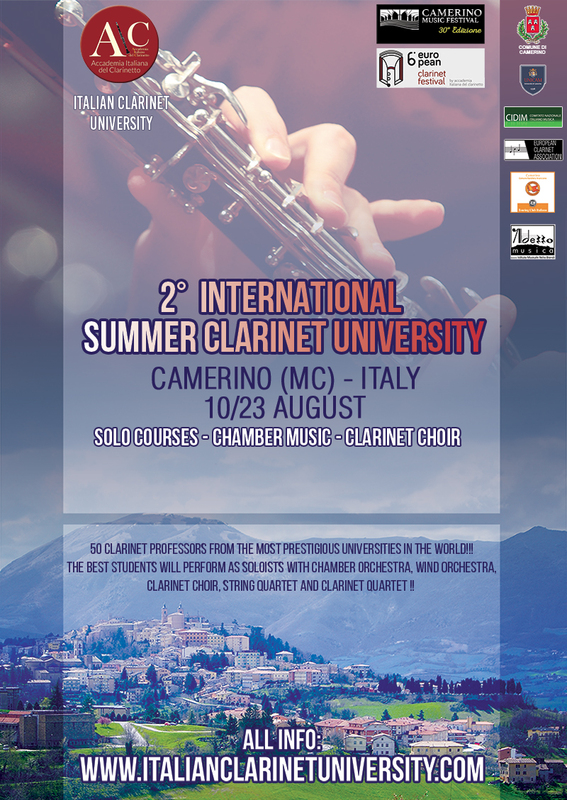 B eautiful Camerino, Italy featured masterclasses followed by the 6th European Clarinet Festival featuring yours truly. It was such a beautiful environment for a clarinet festival superbly organized by Piero Vincenti. It is so sad that the region has been devastated by several recent earthquakes. 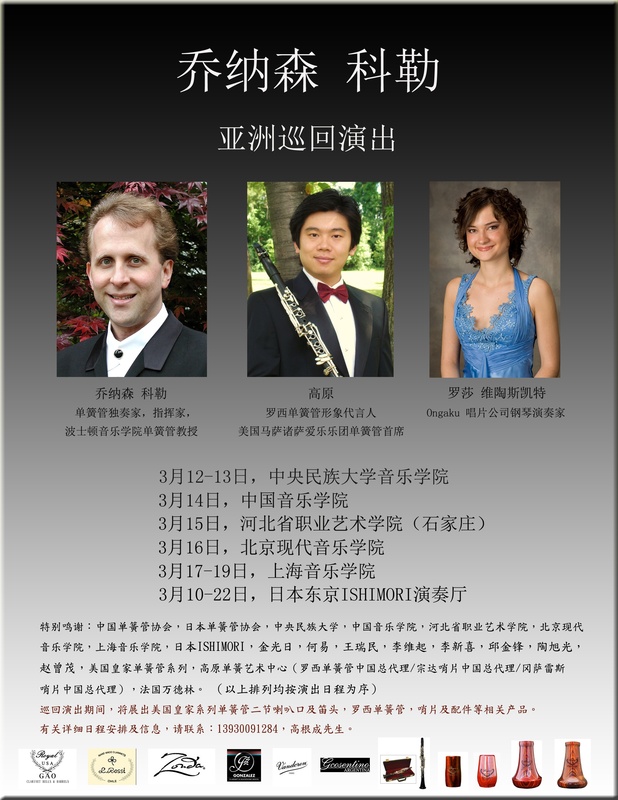 T he International Clarinet Festival held at the Central Conservatory in Beijing featured masterclasses and recital by yours truly. I'll also hopped a quick plane to Qindao for a recital there before returning home. My concert there included Brahms Sonata in E-flat Major, Op. 120, No. 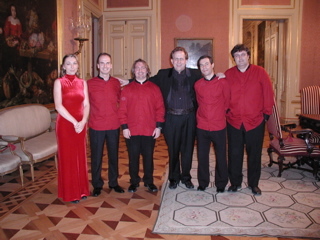 2, D’Rivera Invitación al Danzón, Bernstein Sonata, and Sargon KlezMuzik. 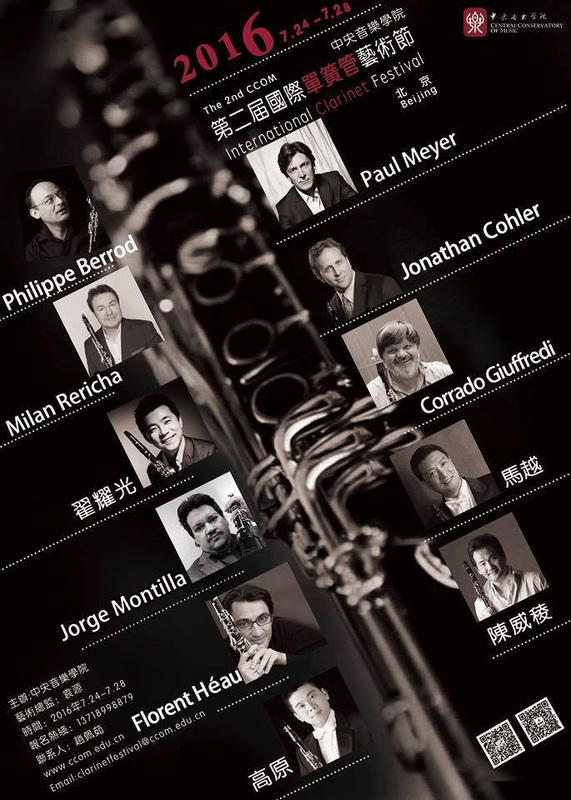 Without a doubt this was the best organized festival I have ever been to in China, and the lion's share of the credit for that goes to my good friend Yuan Yuan, Professor of Clarinet at the Central Conservatory, and clarinetist of the China Philharmonic Orchestra. 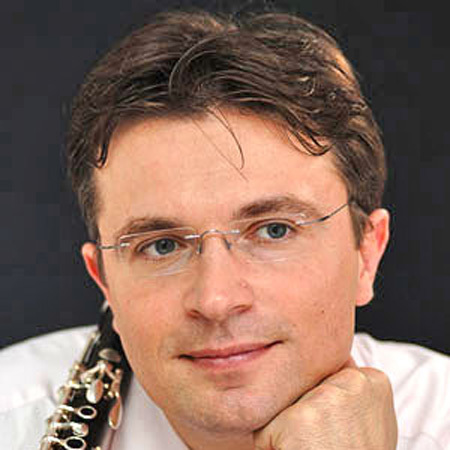 Hungarian National Radio Orchestra Principal Clarinetist Gabor Varga joined us at Boston Clarinet Academy on June 4 and 5, 2016 for our seventh intensive weekend of clarinet masterclasses, seminars, ensemble, and all things clarinet! Pictures coming soon. 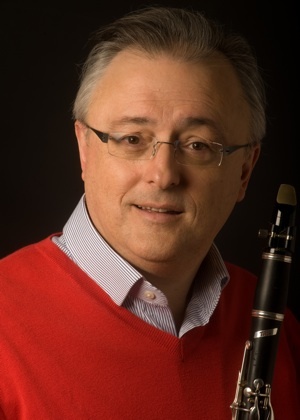 Soloist and clarinet maker Luis Rossi from Chile joined us at Boston Clarinet Academy on May 21 and 22, 2016 for our sixth intensive weekend of clarinet masterclasses, seminars, ensemble, and all things clarinet! Pictures HERE. 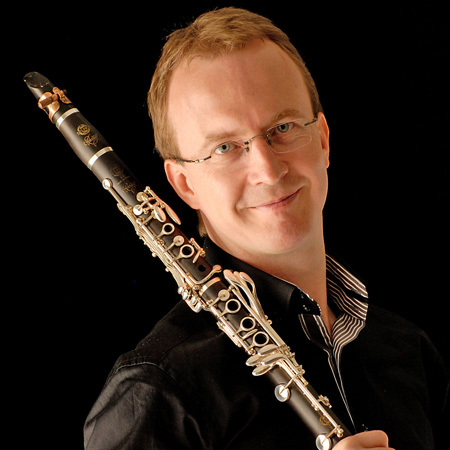 Berlin Philharmonic Principal Clarinetist Wenzel Fuchs joined us at Boston Clarinet Academy on April 16 and 17, 2016 for our fifth intensive weekend of clarinet masterclasses, seminars, ensemble, and all things clarinet! Pictures HERE. 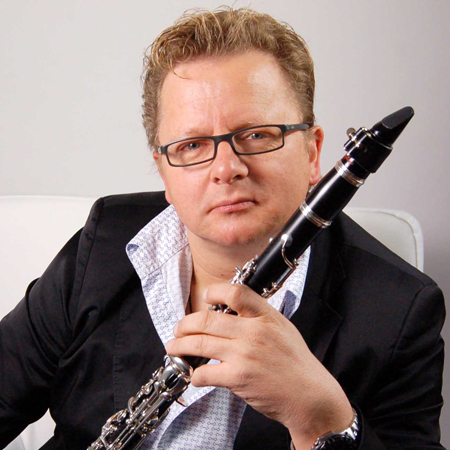 Soloist and Prague Opera clarinetist Karel Dohnal joined us at Boston Clarinet Academy on March 26 and 27, 2016 for our fourth intensive weekend of clarinet masterclasses, seminars, ensemble, and all things clarinet! His rare performance of Stockhausen’s Harlekin was absolutely breathtaking! Pictures HERE. Paris Opera Principal Clarinetist Philippe Cuper joined us at Boston Clarinet Academy on February 13 and 14, 2016 for our third intensive weekend of clarinet masterclasses, seminars, ensemble, and all things clarinet! His classes and live performance were a real treat for all. He played his own edited version of a fantasy on themes from Un ballo in maschera along with a brilliant rendition of Pastorale and Scherzo by Jean Aubain. Pictures HERE. 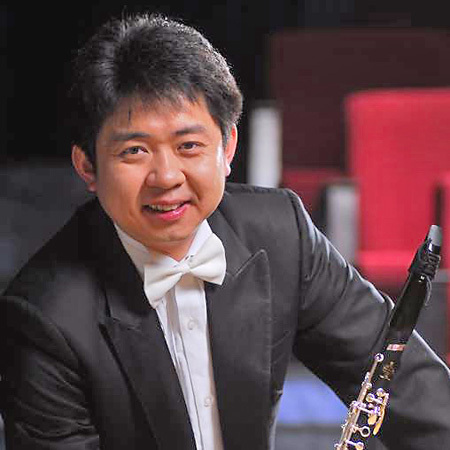 Beijing Central Conservatory Professor and China Philharmonic Orchestra Principal Clarinetist Yuan Yuan joined us at Boston Clarinet Academy on January 23 and 24, 2016 for our second intensive weekend of clarinet masterclasses, seminars, ensemble, and all things clarinet! Professor Yuan also brought six of his top students from the Central Conservatory with him, and we had a wonderful time working together and hearing their student sextet perform Italian in Algiers by Rossini! Pictures HERE. 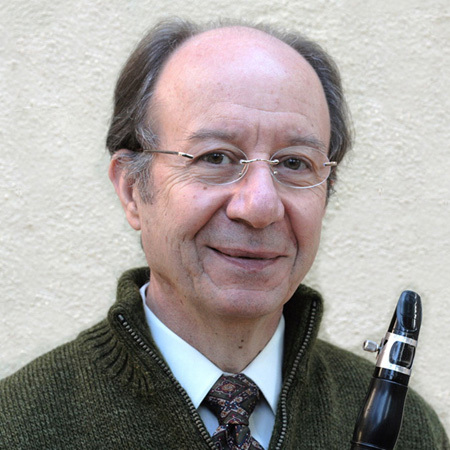 Recently retired long-time Principal Clarinetist of the Cleveland Orchestra Franklin Cohen joined us at Boston Clarinet Academy on October 31 and November 1, 2015 for our inaugural intensive weekend of clarinet masterclasses, seminars, ensemble, and all things clarinet! 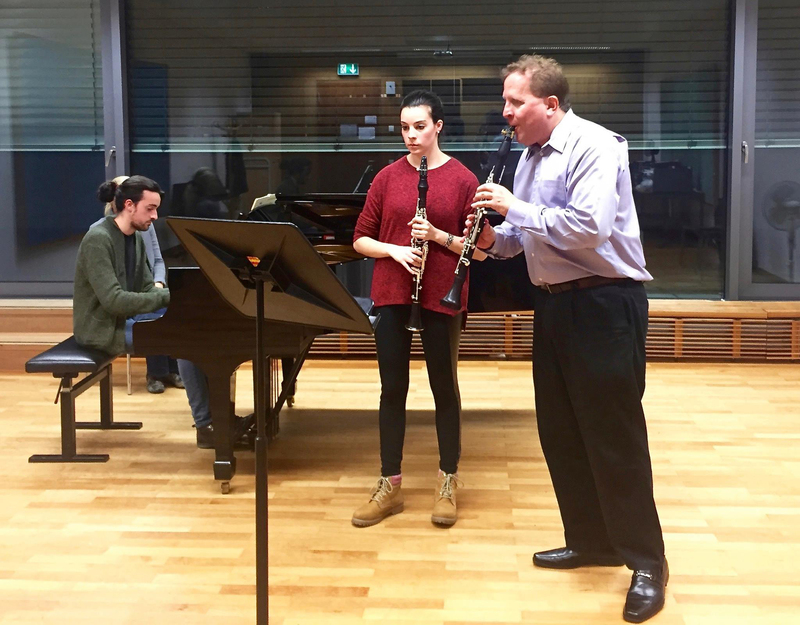 Frank shared his deep knowledge and perspective on clarinet playing, audition taking, music making, and the joy of performing with a very enthusiastic class of students from all over the world. Frank and I enjoyed playing the Mendelssohn Concertpiece No. 1 in F Minor together on the closing concert. A great time was had by all. Pictures HERE. On Friday, August 28, 2015 at 7:30 p.m. I played an exciting concert with the Meiningen Trio at the Taylor House, 50 Burroughs St, Jamaica Plain, MA 02130. 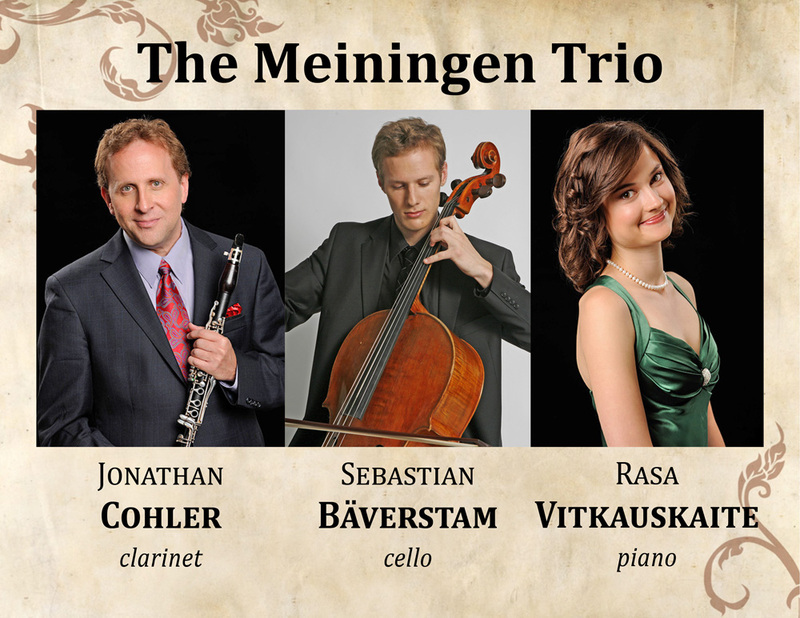 The Meiningen Trio included myself, cellist Sebastian Baverstam, and pianist Rasa Vitkauskaite. The program featured three B’s: Beethoven, Bruch, and Bridge. All of the works are transcriptions. The Beethoven Trio Op. 38 is Beethoven’s own transcription of his wildly successful earlier Septet Op. 20. The Bruch Eight Pieces, Op. 83 is originally written for clarinet, viola, and piano but he also made a cello part to replace the viola. In the Bridge Phantasy Trio in C Minor, H. 79 I transcribed the original violin part for the clarinet. From July 22 to 26, 2015 I was in Madrid for the annual ClarinetFest of the International Clarinet Association. I taught a masterclass, played a recital on Friday, July 24 at 6 p.m., and judged the final round of the ICA Young Artist Competition on Saturday morning, July 25. My recital program included my own transcription of Schumann Adagio and Allegro, Op. 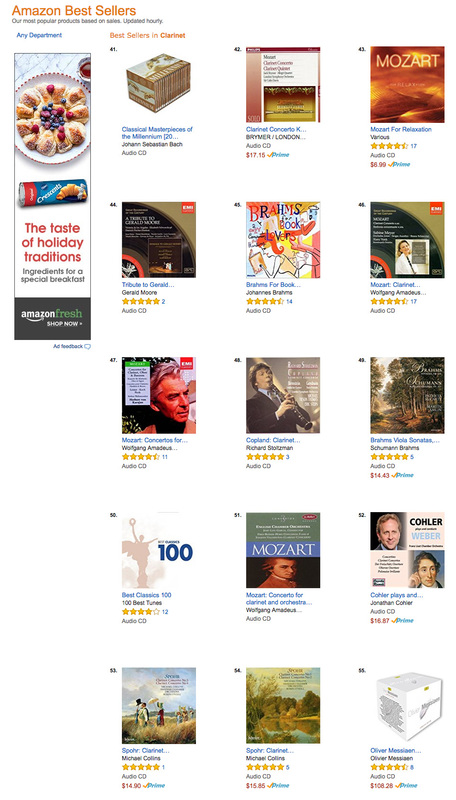 70, along with Guastavino Sonata, and D'Rivera Vals Venezolano. It was a lot of fun! My pianist was as usual the amazing Rasa Vitkauskaite, whose recently released debut solo CD Reflections has been hailed throughout the international classical music press including Fanfare, Gramophone and others. I look forward to this gathering of clarinetists each year where I can reconnect with so many good friends from around the world. Arezzo July 1 to 15, 2015! 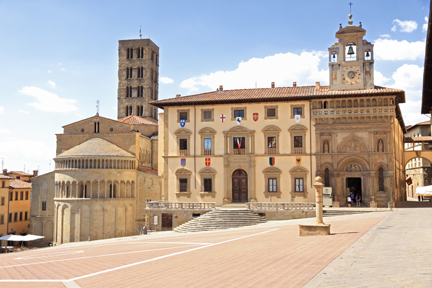 From July 1 to 15, 2015 I taught in beautiful, historic Arezzo, Italy! The festival included a full performance of Mozart's Don Giovanni along with performances of Beethoven's Symphony No. 4 and Concerto for Violin. Students enjoyed chamber music concerts, clarinet choir, faculty concerts, opera, great Italian food and gelato!! All students played in class nearly every day, and there was at least three hours of masterclass per day. 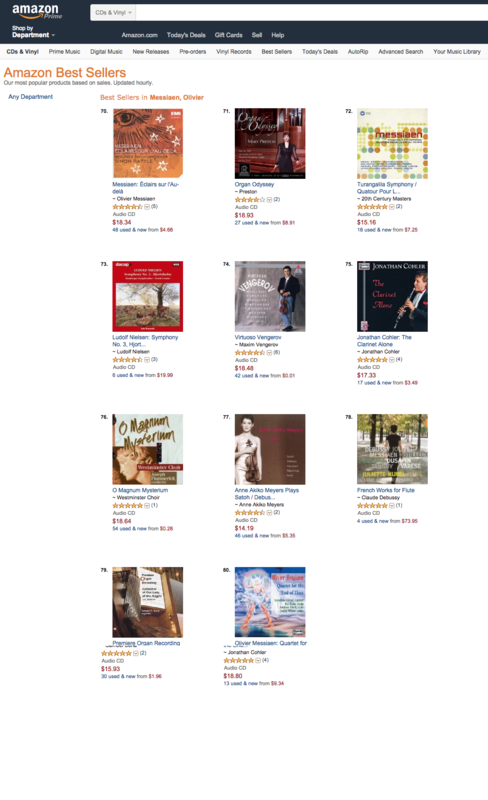 A s of Monday, June 15, 2015, my CDs were charting on the Best Seller lists of the top 100 best-selling CDs in many categories at Amazon! 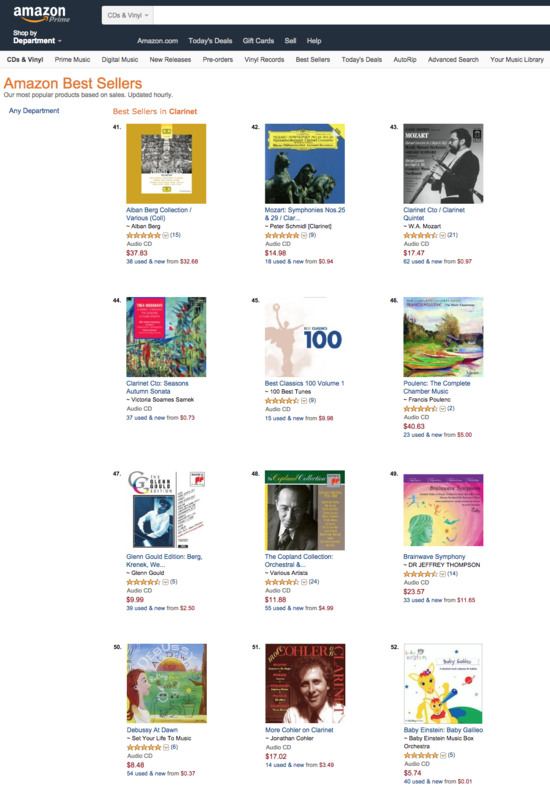 More Cohler on Clarinet ran #4 just behind my cellist idol Jacqueline du Pré in the Schumann category and #51 for all Clarinet music! 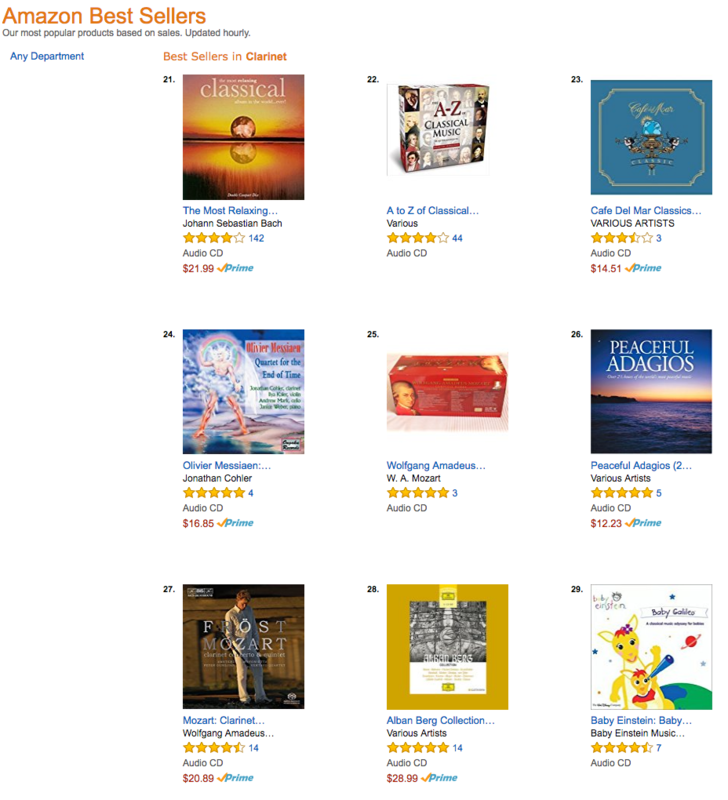 The Clarinet Alone was #75—followed closely by my CD Olivier Messiaen: Quartet for the End of Time at #80—in music by Olivier Messiaen, #1 in music by Erland von Koch, and #22 in music by Vincent Persichetti! Moonflowers, Baby! 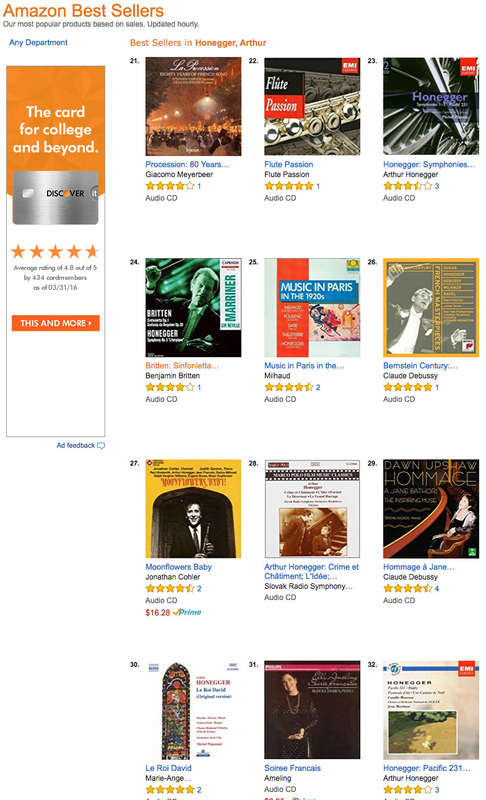 was at #83 in music by Arthur Honegger! Thank you to all my fans and friends for making this possible! 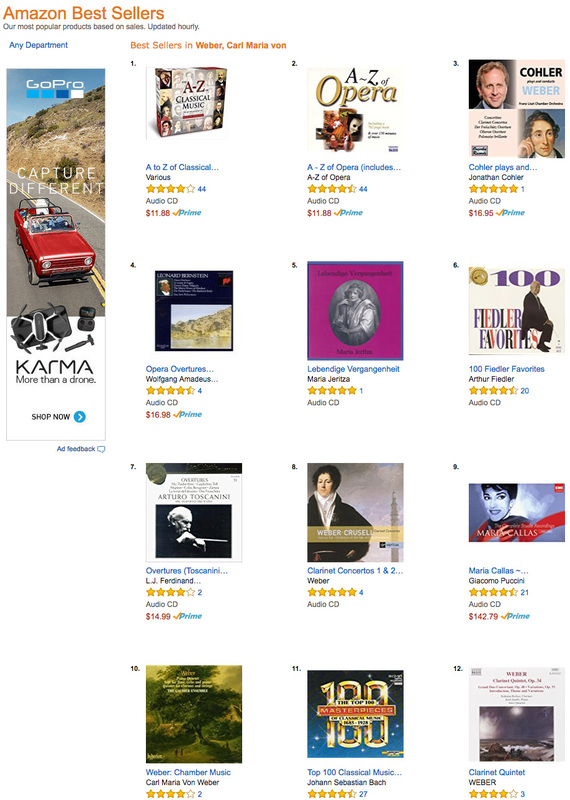 Click on the links below to see the Amazon listings as of this morning (they change on the hour). 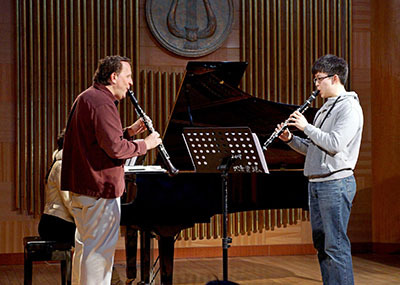 On February 2 and 3, 2015, I taught clarinet students and did a masterclass at the Cleveland Institute of Music for the students of legendary Cleveland Orchestra principal clarinetist Franklin Cohen, who has held that position for forty years since 1976 and retired just a couple of weeks ago. It was a great honor to be invited by Frank, and I had a wonderful time working with all the excellent students there! My photos from the trip are here. From December 10 to 14, 2014, I was honored to be one of only two Americans featured at the 4th European Clarinet Congress in Katowice, Poland. I played a recital there and taught masterclasses. It has been a long time since my last trip to Poland, and boy has it changed! The festival was held at the Szymanowski Academy of Music which is a great misxture of old and new. All the facilities there, including concert hall, chamber music halls, exhibit space, apartments, and even the cafeteria, were amazing! Arek Adamski and his team did an incredible job organizing the entire event, and I am very proud to have been a part of it. My recital program there included Arturo Marquez Zarabandeo, Leonard Bernstein Sonata, and Louis Cahuzac Cantilène. One of the concerts there was held in the amazing, brand new concert hall of the Polish National Radio Symphony, which just opened a couple of months ago. That is definitely one of the best halls in the world now. American Tribute is available for purchase on Amazon, CD Baby, and Ongaku Records. We dedicate this recording to all the victims of the terrorist bombings at the Boston Marathon on April 15, 2013. $1 from each CD will go to victims of the bombings and their families. 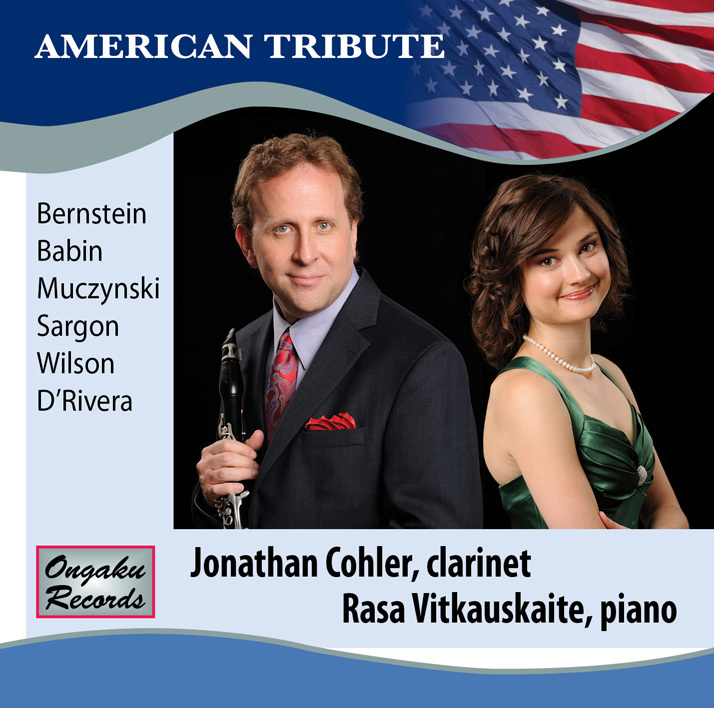 The CD features music for clarinet and piano by great American composers of the last seventy years including Leonard Bernstein, Robert Muczynski, Simon Sargon, Dana Wilson, Victor Babin, and Paquito D'Rivera. This music spans three generations of American composers including influences from Jazz, to Klezmer, to Latin music. Starting with music from the young and prodigiously talented Leonard Bernstein right after he graduated from Harvard, and moving through to the music of three of today's greatest living American composers, Dana Wilson, Simon Sargon, and Paquito D'Rivera, this CD is a treasure trove of wonderful and characteristic repertoire spanning the styles, cultures, and traditions that are the melting pot of America. From July 15 to 29, 2014, I was back in Arezzo, Italy for masterclasses, chamber music, and just a great time soaking in the Tuscan sun! 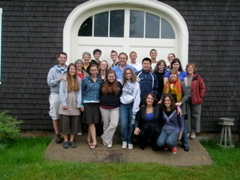 Students came from Europe, Canada, China, and the United States, and a great time was had by all. From July 29 to August 3, I was in Baton Rouge, Louisiana at ClarinetFest 2014. We played a recital at Louisiana State University including Arturo Marquez Zarabandeo, Simon Sargon Deep Ellum Nights, and Paquito D'Rivera Invitación al Danzón. My amazing pianist Rasa Vitkauskaite and I played for an enthusiastic audience packed into the School of Music Recital Hall, and after the concert, we had the great honor of meeting Dana Wilson, composer of the wonderful piece Liquid Ebony that we recorded on our just-released CD American Tribute. 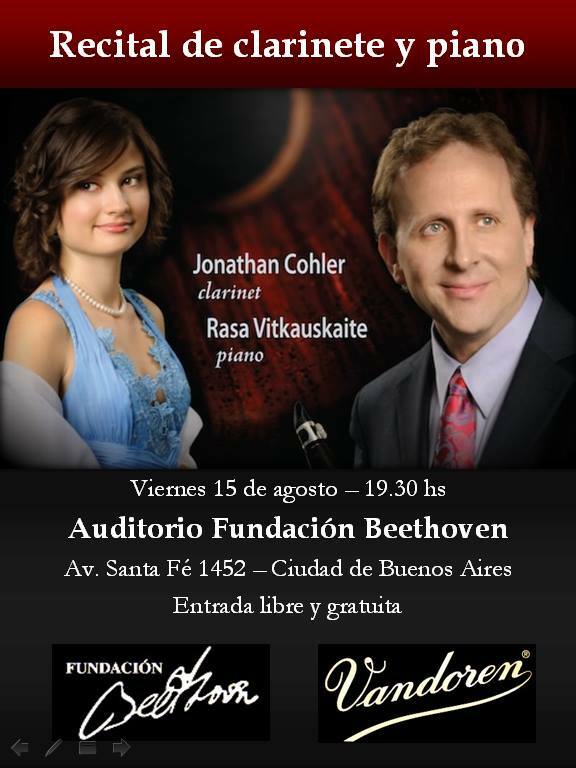 From August 9 to 15, I was in Argentina doing concerts and masterclasses in Buenos Aires and Rosario. It had been several years since I was there, so I was very excited to return to that wonderful country and see all my good friends there! Our program included Arturo Marquez Zarabandeo, Robert Schumann Three Romances, Op. 94, Charles-Marie Widor Introduction et Rondo, Op. 72, Paquito D'Rivera Invitación al Danzón, Simon Sargon Deep Ellum Nights: Three Sketches, and Luigi Bassi Fantasy on Themes from Bellini's "I Puritani". See my album on Facebook for pictures from Argentina. 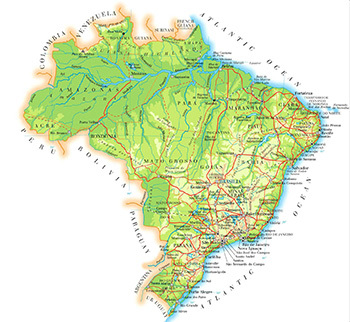 From August 16 to 26, I did a five-city tour of Brasil with concerts and masterclasses in Goiania, Brasilia, Belem, Rio de Janeiro, and Sao Paulo! In Brasilia, I played Finzi's beautiful Concerto for clarinet and strings as well as a new arrangement of Bassi's Fantasia on Themes from “I Puritani” for clarinet and orchestra with the National Symphony of Brasil.The tour also included several recitals with my amazing pianist Rasa Vitkauskaite, as well as masterclasses and chamber music. On Saturday, May 10, 2014 I had the great pleasure to play the Brahms Clarinet Trio at Harvard-Epworth United Methodist Church, 1555 Massachusetts Avenue, Cambridge, Massachusetts in a benefit concert for the Massachusetts Peace Action Education Fund with great colleagues. Joining me in the trio were pianist Victor Rosenbaum and cellist Anzel Gerber. Violinist Jamie Buswell joined Victor and Anzel in the Brahms Piano Trio in C Minor, and Victor played the two Intermezzi, Op. 118. Then on Sunday, May 11 we trekked up to Woodstock, Vermont and played the program again on the concert series at the lovely Unitarian Universalist Church in Woodstock. What a great way to spend the weekend! From July 7 to 13, 2013, I was back in beautiful Xativa, Spain teaching at the 5º Curso Internacional de Musica Ciutat de Xàtiva. The festival was a 7-day intensive event, lead by Fran Moral, founder of Saetebis Music Society, and once again, the clarinet studio was completely full. This summer wasn't quite as hot as usual, which was a real relief! The students and my faculty colleagues were wonderful as always. I had the honor of playing the Mozart Clarinet Concerto, under the direction of maestro Michael Thomas, and that was a treat! For pics and updates, check out the group on Facebook. From March 13 to 25, 2013, I toured several ciies in China doing masterclasses in Shenyang, Dalian, Luoyang, Zhengzhou, and Beijing. In Shenyang, I gave classes at the Shenyang Conservatory for the students of Professor Dong Dejun. While in Luoyang, I gave a large public masterclass, and had the wonderful opportunity to visit the ancient Longmen Grottoes: 1400 buddhist caves that date back as far as 493 AD! In Zhengzhou, I gave a class at the music school there and then it was on to the China Conservatory in Beijing, where I worked once again with the students of Professor Yi He. 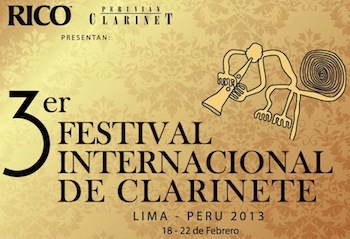 From February 18 to 22, 2013, I was one of the featured artists of the 3rd International Clarinet Festival in Lima and Cusco, Peru, where I judged the First National Clarinet Competition of Peru. The other featured artists/judges were Gabor Varga (Hungary), Karel Dohnal (Czech Republic), and Jean-Francois Bescond (France). 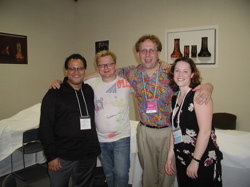 The festival was organized by Luis Enrique Vargas Guevara, principal clarinetist of the National Symphony Orchestra in Lima, Peru. For more information, send email to info@peruvianclarinet.com see the Facebook Page, or see the website. 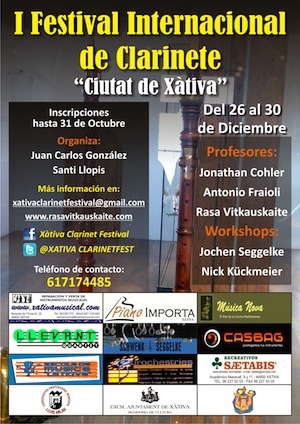 From December 26 to 30, 2012, I was in Xativa once again, but this time at the First Xativa International Clarinet Festival, which also included piano lessons by my stellar pianist Rasa Vitkauskaite. I taught lessons, masterclasses, and played a recital there including the Brahms Sonata No. 1 and Schumann Intermezzo from FAE Sonata. For more information on the festival in both English and Spanish, check out this Facebook page and this Facebook event or send email to the festival here. Video and pictures from the event will be posted soon! From November 24 to 30, 2012, I toured Hungary playing concerts with my wonderful pianist Rasa Vitkauskaite and teaching masterclasses in Budapest, Miskolc, and Debrecen. 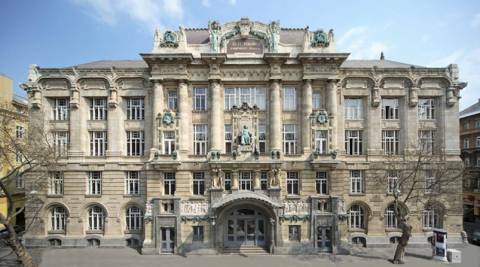 The concerts and masterclasses took place at the beautiful Liszt Academy in Budapest, the Bartok Conservatory in Miskolc and the University of Debrecen. This was my first time to Hungary and it certainly won't be my last! In Budapest, we had the great honor of playing and teaching in the beautiful concert hall of the old building at the Franz Liszt Academy, which now houses a Liszt Museum and other organizations dedicated to the history of Franz Liszt. Our concert program in Hungary included Prokofiev Sonata in D Major, Op. 94, Schumann Fantasiestucke, Op. 73, Widor Introduction et Rondo, Op. 72, and Bassi Fantasy on themes from Verdi's "Rigoletto". The students there were wonderful and the goulash was amazing! Check out pictures on my Facebook page. Iknew my physics degree from Harvard would come in handy some day! Actually, I use my physics background every day in my teaching and playing of the clarinet, chamber music, conducting, recording and really all aspects of music making. So I was very excited when I was recently invited to give a guest lecture at Harvard on Monday, November 19, 2012 on the topic of musical instruments and physics! The unexpected invitation came from world-renowned Professor Eric Mazur (Balkanski Professor of Physics and Applied Physics and Area Dean of Applied Physics) and Preceptor Carolann Koleci (formerly Director of Physics Education and Assistant Professor of Physics at Worcester Polytechnic Institute) who have developed an innovative new undergraduate course (AP50) together using the Peer Instruction method that Mazur pioneered starting in 1990 and now is used worldwide in many science disciplines. In first-semester AP50, there are no formal lectures and no traditional examinations. Instead, introductory physics concepts are motivated and learned through three, one-month-long, team-based projects: Rube Goldberg Machines, Mission to Mars, and Musical Instruments. For an interesting blog-post on “Applied Physics 50: Physics as a Foundation for Science” click here, and for an informative story from the Harvard Crimson published September 5, 2012, check out Applied Physics 50 Offers Innovative Teaching Style. Everything went well and a great time was had by all! I really brushed up on my PowerPoint skills at the same time. Thank you again to Prof. Mazur and Preceptor Koleci! On Thursday, October 18, 2012 at 7:00 pm, I gave students insights into how to prepare for and take successful auditions. The class was aimed at preparing students to audition for college, All-State, Districts, Middle-Level Honor Band, or even school band seating challenges. I heard four great kids playing flute, saxophone, and clarinet. 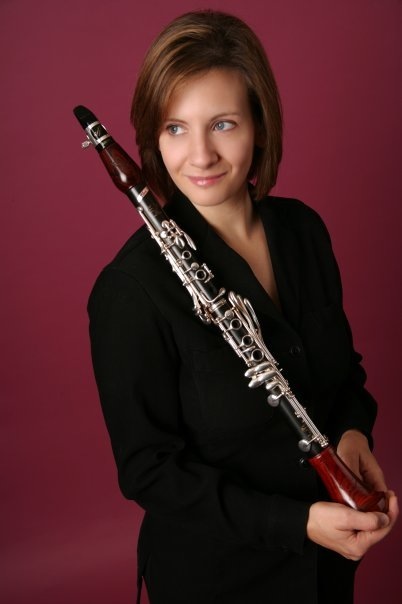 The school is founded run by its energetic, talented, dedicated and generally wonderful Director and flute teacher Trisha Craig. 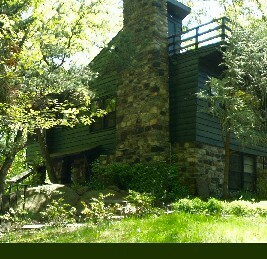 It all took place at Music Makers, 18 Lafayette Road, Suite 2, North Hampton, New Hampshire 03862. For info and directions to the school see the Facebook event here. To find out more about taking music lessons there call Music Makers at 603-964-2950 or send a message via Facebook here. It was nice to see all of you who joined me at the Boston Conservatory Single Reed Symposium on Sunday, October 14, 2012. I gave a masterclass focusing on the Debussy Première Rhapsodie and then played a short recital with pianist Rasa Vitkauskaite in conjunction with a presentation by Vandoren, which is one of my sponsors and a sponsor of the festival. Our program included Brahms Sonata in F Minor, Op. 120, No. 1 and Sargon KlezMuzik. The two-day festival was filled with masterclasses, performances, vendor presentations, and exhibits for both saxophone and clarinet and a great time was had by all. Other artists who performed and taught at the festival included Michael Lowenstern, Lee Livengood, Ken Radnofsky, Chien-Kwan Lin, Eric Hewitt, and Michael Norsworthy. 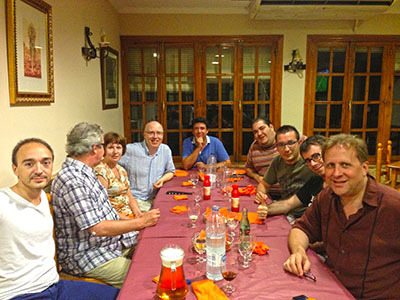 From July 8 to 14, 2012, I was back in beautiful Xativa, Spain teaching at the 4º Curso Internacional de Musica Ciutat de Xàtiva. The festival was a 7-day intensive event, lead by Fran Moral, founder of Saetebis Music Society, and once again, the clarinet studio was completely full. Check out Fran's pictures here and my pictures here. During the summer, it is 37 or 38 degrees Celsius nearly every day in Xàtiva, which is one of the hottest places in Spain! The students range in age from 14 to 50. For the latest scoop on past and future Xativa festivals, see the group on Facebook! 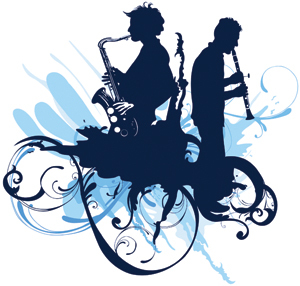 From July 15 to 22, 2012, we held the 7th edition of the International Woodwind Festival and all available student slots were completely full!! IWWF 2012 faculty included Berlin Philharmonic Orchestra Solo Clarinetist Wenzel Fuchs, former Simon Bolivar Orchestra principal clarinetist Jorge Montilla, soloist and instrument maker Yuan Gao, Cynthia Doggett and yours truly. This year IWWF was held again in Pella, Iowa. The IWWF Young Artists Competition included cash and equipment prizes from sponsors totalling more than $2000 and was judged by our prestigious faculty members. The First Prize winner was Saul Sanchez Zea from Mexico; the Second Prize winner was Micah Wright from the USA; and there were two Third Prize winners: Luis Enrique Vargas Guevara of Peru, and Omar Ho of Canada. Another first featured at this years festival was live streaming of masterclasses and concerts. For photos of IWWF 2012 click here. The festival was packed full of lessons, masterclasses, 5 faculty concerts, pianists, 2 student concerts, the international competition and loads of fun times! I hope you can join us next year for IWWF 2013! On April 2, 2012, The Boston Musical Intelligencer just published a great review of my performance of Debussy’s Première Rhapsodie at Sanders Theatre in Boston! 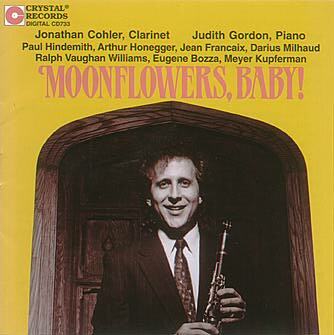 Reviewer Fred Bouchard wrote, “Clarinettist Jonathan Cohler played like a Bird of Paradise, in hushed sylvan calls and response and airing delicate accelerando/rubato licks; his occasional sostenuti hang seductively, dewdrops on a Venus flytrap.” For the complete review click here. O n April 1, 2012, I had the pleasure of playing Claude Debussy’s Première Rhapsodie with the Boston Conservatory Orchestra, conducted by Bruce Hangen, at Harvard’s Sanders Theatre. 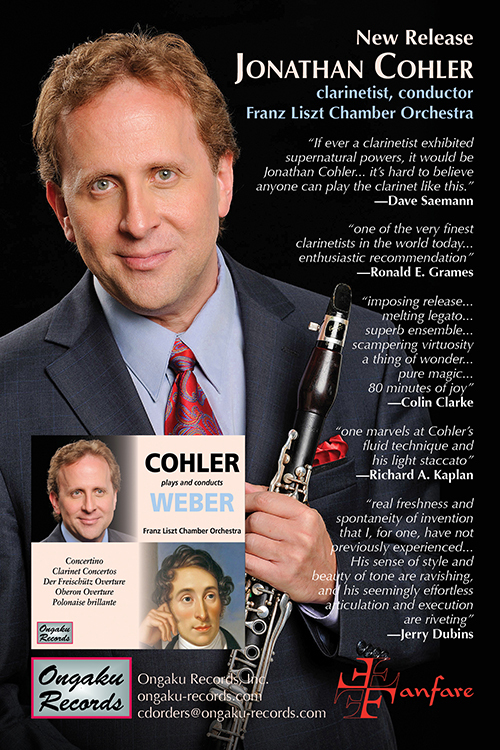 The Boston Musical Intelligencer review of the concert said, “Clarinettist Jonathan Cohler played like a Bird of Paradise...”! For the complete review, click here. The program also included pianist Max Levinson playing Debussy’s Fantasie for Piano and Orchestra and saxophonist Kenneth Radnofsky playing Debussy’s Rhapsody for Alto Saxophone and Orchestra, in addition to performances by the orchestra of Mozart’s Symphony No. 35 “Haffner” and Ravel’s Rapsodie Espagnole. You can see the full program with program notes here. 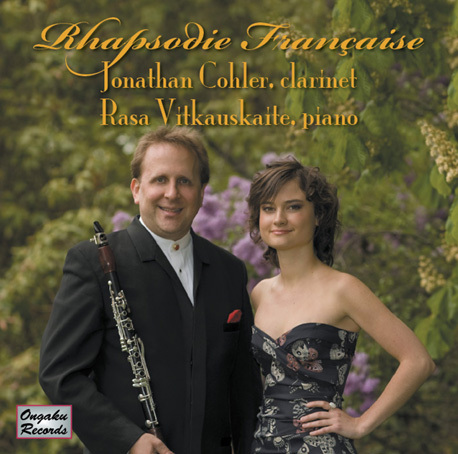 The Première Rhapsodie is originally written for clarinet and piano, and I recorded it with pianist Rasa Vitkauskaite on my CD Rhapsodie Française. 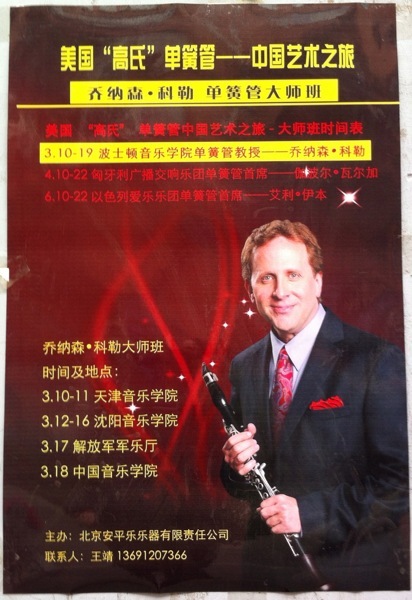 From March 9 to 19, 2012, I was on tour in China playing concerts and teaching masterclasses at conservatories in Tianjin, Shenyang, and Beijing. 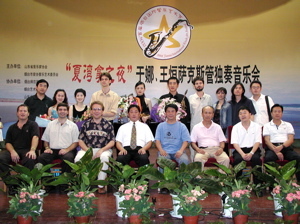 I was also honored to be the first foreigner ever to teach masterclasses for the Military Band of the People's Liberation Army of China.At the Tianjin Conservatory, I played a recital and taught masterclasses for the students of Professors Xie and Zhang; at the Shenyang Conservatory, I played a recital and taught masterclasses for students of Professor Dong; and in Beijing at the China Conservatory, I taught masterclasses for the students of Professor He. Pictures to come soon here and on Facebook. This piece is very special to me. 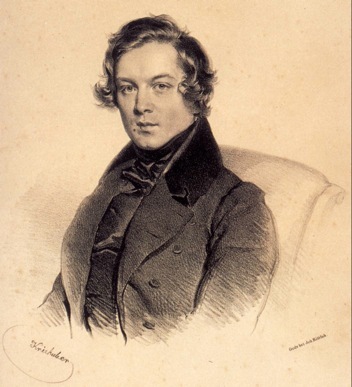 Robert Schumann's music exudes such beauty and such genius with so much concision and power; it has become a very important part of our repertoire. My amazing pianist Rasa Vitkauskaite and I often love to play this piece as an encore. I hope you enjoy it! 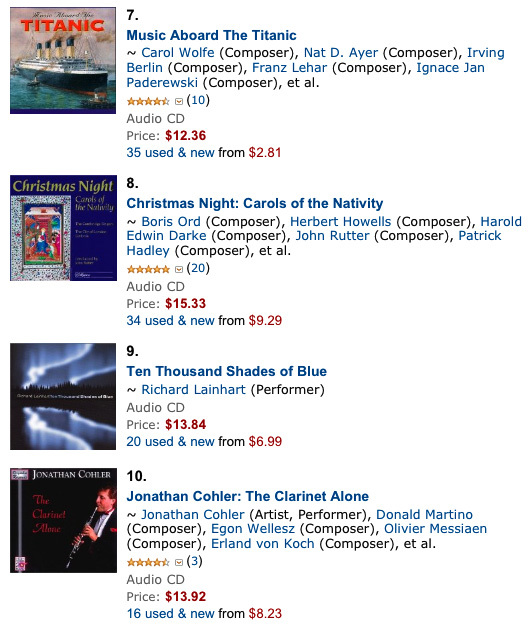 O n Friday, January 6, 2012, my CD The Clarinet Alone was right near the top in Indie Music Classical (#10) and Clarinet (#12) on Amazon! 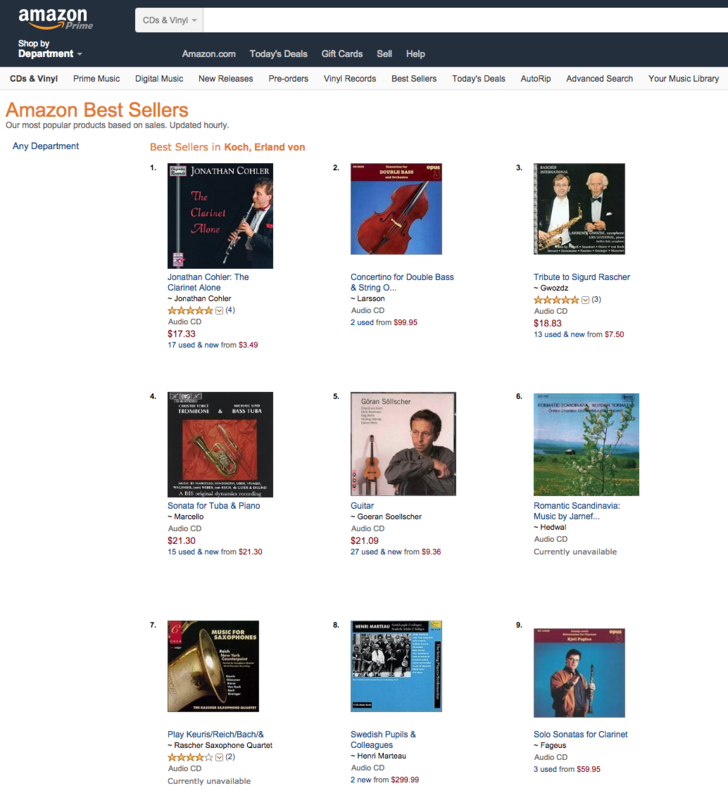 It moved up to #2 on the Messiaen list and #1 on both the Persichetti list and the von Koch list! Moonflowers, Baby! 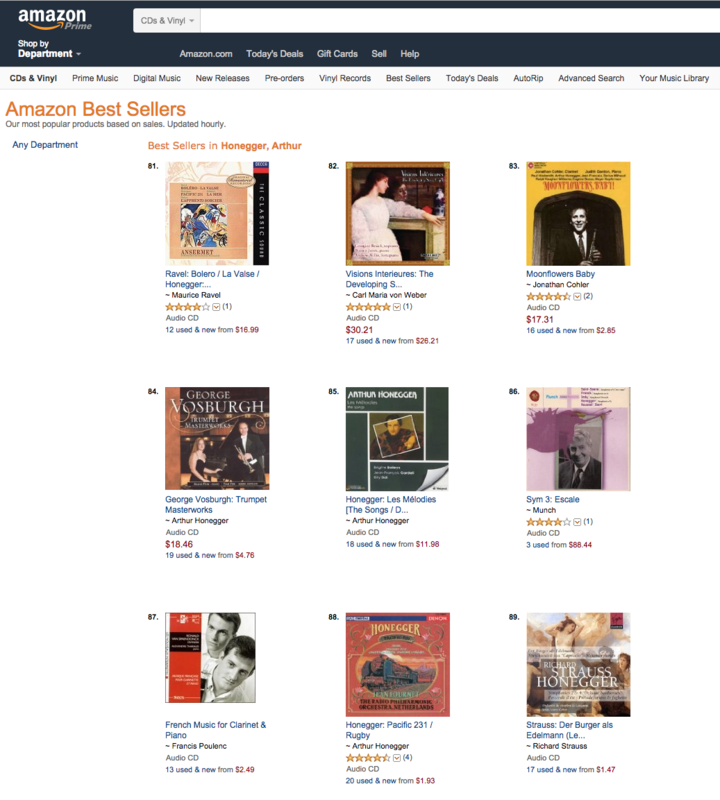 also moved up to #44 for Clarinet and #36 for Vaughan Williams! 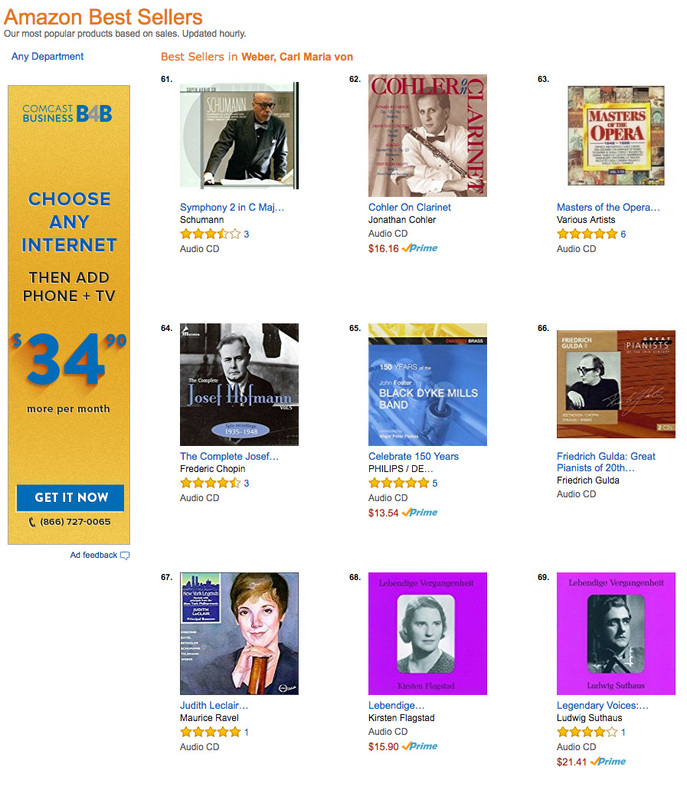 At the same time, More Cohler on Clarinet is now in the top 100 for Schumann (mistakenly shown as English Horn!). 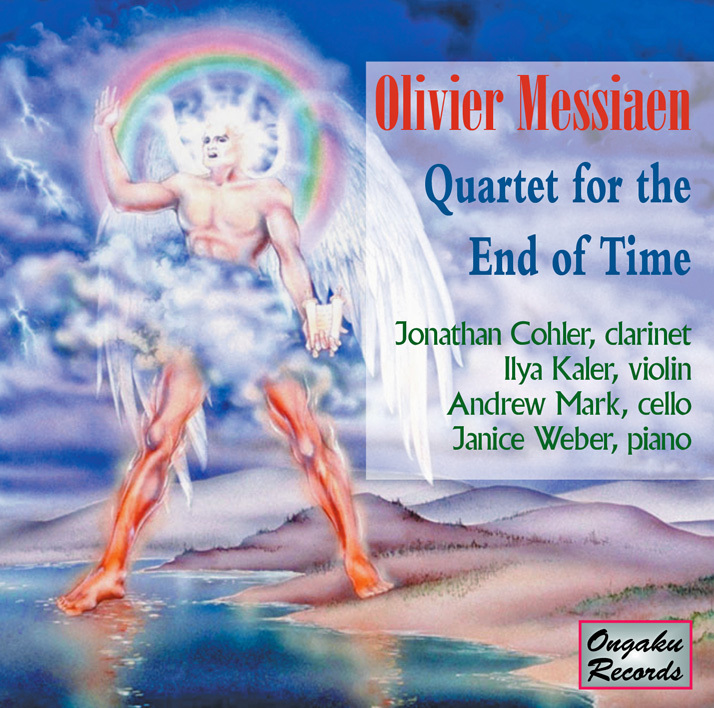 Messiaen Quartet for the End of Time have retained their status in their respective lists for a long time now. Thank you to all my fans and friends for making this possible! 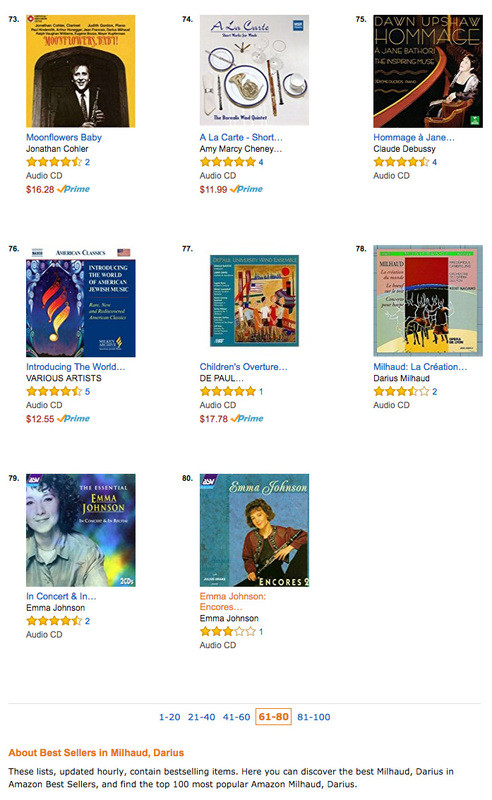 (This appears to be a mislabeling of the list by Amazon. Happy New Year to all my friends and fans! Wishing you all a joyous and prosperous 2012. Two new YouTube videos are out: "Black Dog" by Scott McAllister and the Copland Clarinet Concerto. I hope these bring a smile to your face and make your heart beat a little faster!! O n December 8, 2011 I played Scott McAllister’s Black Dog with the Boston Conservatory Wind Ensemble, conducted by Eric Hewitt at the school’s new Theatre in the brand new performance complex at the school. It was a great experience working with Eric and the wind ensemble. Here is the video from the concert, so in case you missed the concert, you can watch in hi-fidelity HD 720p at home through the magic of technology and YouTube! If you are a Led Zeppelin fan, you'll enjoy it even more as the work is loosely based on themes from their song Black Dog (1971). The piece highlights just about everything a clarinet can do, with some of the fastest and wildest playing in the repertoire, reaching from the clarinet's lowest notes up in to the stratosphere, wailing, crying, sobbing and rejoicing with some hauntingly beautiful melodies along the way. I was also very excited and honored to play on this program, which was in honor of the 86th birthday of one of Scott McAllister's most influential teacher's, Gunther Schuller, the Pulitzer Prize winning composer, conductor, former President of NEC, and former Director of the Tanglewood Music Center. Gunther was in attendance with smiles on for his 86th. 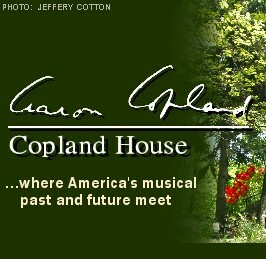 O n November 20, 2011, I played in a special private performance in honor of Ben Armato at the Copland House in Cortlandt Manor, New York. My amazing pianist Rasa Vitkauskaite and I performed two of our favorite pieces in honor of Ben who has been a wonderful inspiration to so many clarinetists and musicians including myself: Widor Introduction et Rondo and Sargon KlezMuzik. Also featured on the performance were jazz clarinetist Derek Bermel, New York Met clarinetists Jessica Phillips and James Ognebene, Hong Kong Philharmonic principal clarinetist Andrew Michael Simon, and Morrie Sherry. Ben Armato played clarinet in the New York Metropolitan Opera Orchestra from 1953 to 1988. 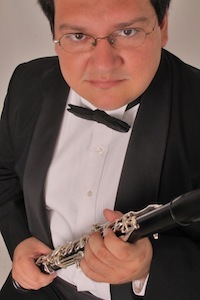 Ben has edited several books and invented several important products in the clarinet world. 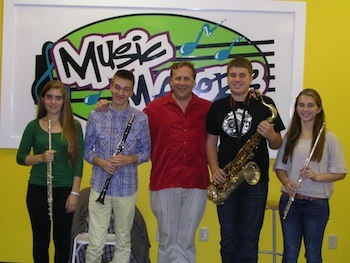 He has been a dedicated teacher to numerous lucky clarinet students for many decades. For more information on Ben and his work, click here. 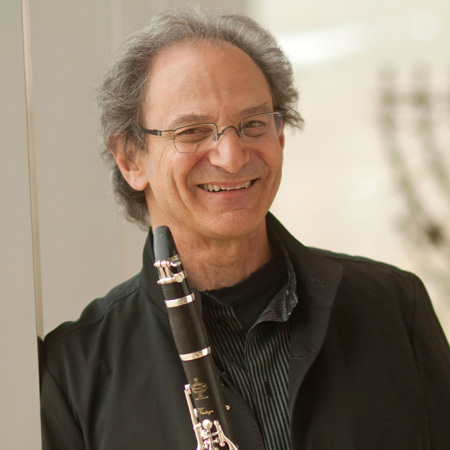 The event was organized by Ben's close friend of 62 years, David Dworkin, and also featured a presentation by Larry Guy, on behalf of the International Clarinet Association, bestowing Ben with the ICA's highest honor: the lifetime membership. The whole event was a moving and special experience, and I am very honored to have been a small part of it. O n August 3, 2011, I played a recital on Nantucket with the wonderful composer, pianist, conductor and educator Simon Sargon. 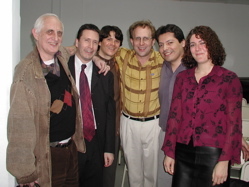 One of the pieces on the program was Simon's KlezMusiK (listen to a live recording here on my website), which he wrote for me nearly 20 years ago! The program also included Brahms Sonata No. 1, Sargon Deep Ellum Nights and Bassi Rigoletto. The concert was held at the Coffin School. The audience and reception were wonderful and the hospitality of Harris and Esta Lee Stone was magnificent. What a treat it was to work with such a brilliant composer as Simon Sargon. From July 10 to 17, 2011, I was back in beautiful Xativa, Spain teaching at the 3er Curso Internacional de Musica Ciutat de Xàtiva. The festival was a 7-day intensive event lead by Fran Moral, founder of Saetebis Music Society. The festival takes place in Xàtiva, Spain and is amazing! The pictures from this year's festival are here on Facebook. During the summer, it is 37 or 38 degrees Celsius nearly every day in Xàtiva, which is one of the hottest places in Spain! There were 20 students in the clarinet studio this year, all wonderful. My colleague Rafa Albert Soler and I had a wonderful time working with the students who ranged in age from 14 to 50. F rom June 14 to 24, 2011, I was on tour with the Youth Philharmonic Orchestra of New England Conservatory. 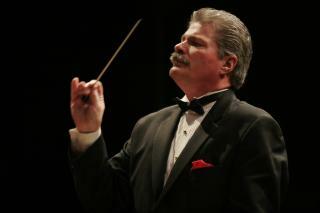 I am the longtime Assistant Conductor of the orchestra. The orchestra played fantastic concerts in Prague, Bratislava and Vienna. The repertoire included Mahler Symphony No. 9, which was performed to a packed house at the Musikverein in Vienna followed by a lengthy and well-deserved, but rare in Venna, standing ovation! Other repertoire for the tour included Dvorak Symphony No. 9 and Ravel La Valse. Check out my pictures of the tour on Facebook here, and for a great story describing the Musikverein experience click here. F rom June 1 to 10, 2011 I was on tour to the far east teaching masterclasses and playing concerts in Seoul, Korea and Beijing, China. In Korea, I worked with students of Im Soo Lee, Jeong Min Song, and Dongjin Kim. In Beijing, I worked with students of Fan Lei at the Central Conservatory. As usual the students were amazing and the food was great! Check out the pictures on here. O n Friday, April 22, 2011, I played the Copland Concerto with the Harvard Bach Society Orchestra. It was their final concert of the season, the final concert of two-year Music Director Yuga Cohler (who is a close relation of mine) and our first concert together with Yuga on the podium! It was a very special event for me and Yuga, and it couldn't have turned out any better. Many dear friends, students and family were all in attendance to share this once-in-a-lifetime moment, and we were very touched and thankful to have so much wonderful support. For pictures of the event, check out my Facebook page here, and you can see the performance by just clicking on the video above. 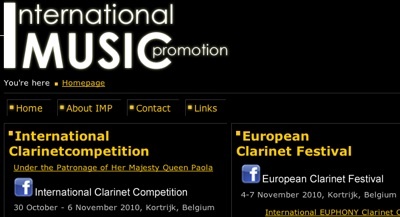 A major new clarinet competition and festival took place in Kortrijk, Belgium from October 30 to November 7, 2010! I taught masterclasses, played the Weber Quintet with the Ciurlionis Quartet from Lithuania, and judged the huge new international competition there on a very prestigious panel including myself, Karl Leister, Stanley Drucker, Koichi Hamanaka, Eddy Vanoosthuyse, Antonio Saoite, Fan Lei, Robert Spring, Valdemar Rodriguez, Mattias Müller, and James Gillespie. 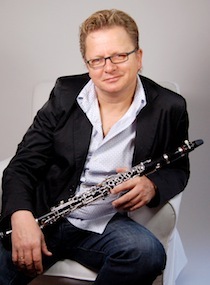 As part of the same event, the European Clarinet Association was officially formed, and the first European Clarinet Festival took place from November 4 to 7, 2010. Click here for festival and competition information. The jury and prizes offered were the largest of any clarinet competition in the world. It is planned to happen every two years going forward. I had a great time drinking beer and sharing stories with clarinet legends Karl Leister and Stanley Drucker and the other panel members. The entire event was organized by Eddy Vanoosthuyse and was an amazing experience that I will never forget. Pictures coming soon. O n Friday, October 15, 2010 we had an exciting evening featuring works of Robert & Clara SCHUMANN, BRAHMS, LISZT, and SCHUBERT performed by yours truly, soprano Jayne West, and pianists Robert Merfeld and Rasa Vitkauskaite at Pickman Hall, Longy School of Music. Program details here. Stay tuned for video and audio clips from the concert. 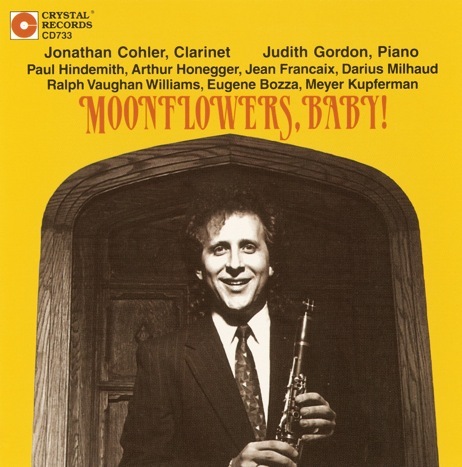 M oonflowers, Baby! was chosen as Recording of the Month in October 2010 by MusicWeb International. To see the full review, click here. 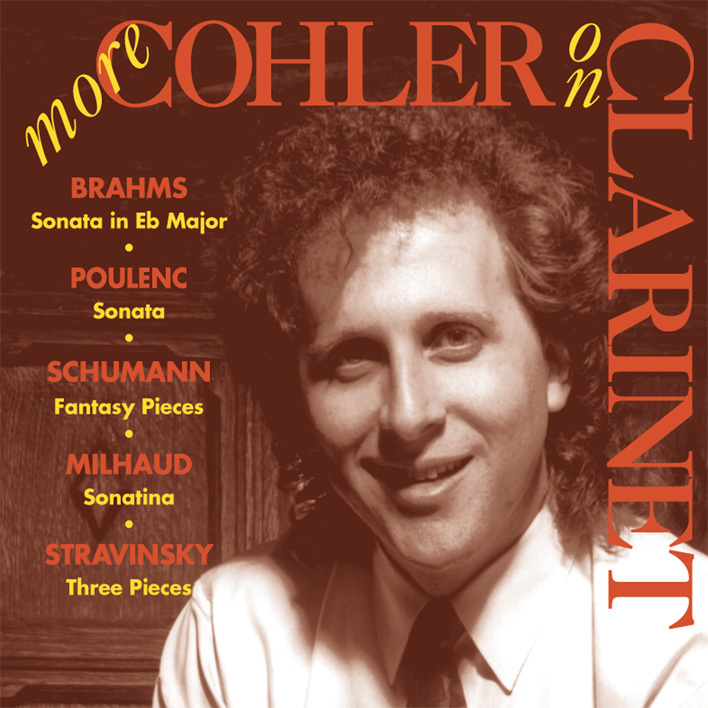 The reviewer said, "The performance is stunning...with charm and deep inner feeling...Cohler plays as if he owned the piece, with deep understanding and supreme musicality. 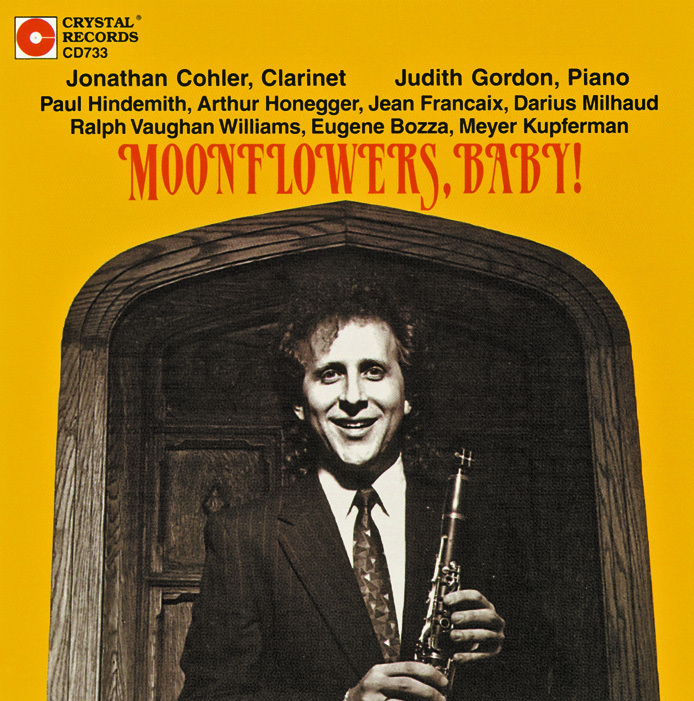 'An absolute knockout recording', as the composer himself declared...I cannot find any weakness in this disc...from head to toes, this is probably the most satisfying clarinet disc I've heard in quite a time...Sensitive, subtle, beautiful, refined - a moonflower, baby!" F rom July 21 to July 25, 2010, I was in Austin, Texas at the annual mega-gathering of clarinetists from all over the world, ClarinetFest 2010. I played the Prokofiev Sonata in D Major, Op. 94 there with Colette Valentine in McCullough Theatre, which is in the Performing Arts Center at University of Texas, Austin. I had a great time visiting with friends from the world over including my old pal Michael Drapkin from Tanglewood days, who hosted a wonderful party at his lovely new home, and my good friend from Taiwan, Bill Chen of the Taipei Symphony. Bill brought a large entourage of students to the event, and I gave a special masterclass just for them. 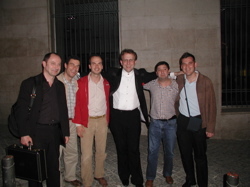 I taught and conducted the orchestra at the 2° Curso Internacional de Musica Ciutat de Xàtiva from July 4 to 10, 2010. The festival is a 7-day intensive event lead by Fran Moral & Jordi Fuster, founders of Saetebis Music Society. The festival takes place in Xàtiva, Spain and it was amazing! I posted pictures on Facebook here. I'll choose the best ones and post them here soon. It was 37 or 38 degrees every day in Xàtiva, which is one of the hottest places in Spain! I did get to visit the castle at the top of the hill and it was beautiful! I conducted the orchestra there in a performance of Dvorak Symphony No. 9 "From the New World". The festival also included included performances by the saxophone ensemble, clarinet ensemble, percussion ensemble, string quartet, and piano flamenco!! Great performances all around! And the clarinet students were amazing! I will miss Xàtiva! 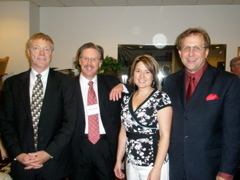 T he International Woodwind Festival 2010 in Pella, Iowa took place from June 20 to 27! IWWF this year featured renowned Belgian soloist and teacher Eddy Vanoosthuyse, Central College professor of clarinet Cynthia Doggett, along with yours truly Jonathan Cohler, as well as pianists Rasa Vitkauskaite, and Shizue Sano. 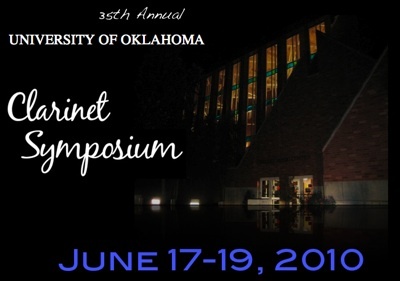 O n June 17, 2010, I performed at the 35th Annual University of Oklahoma Clarinet Symposium in June. I played a recital with my amazing pianist Rasa Vitkauskaite. 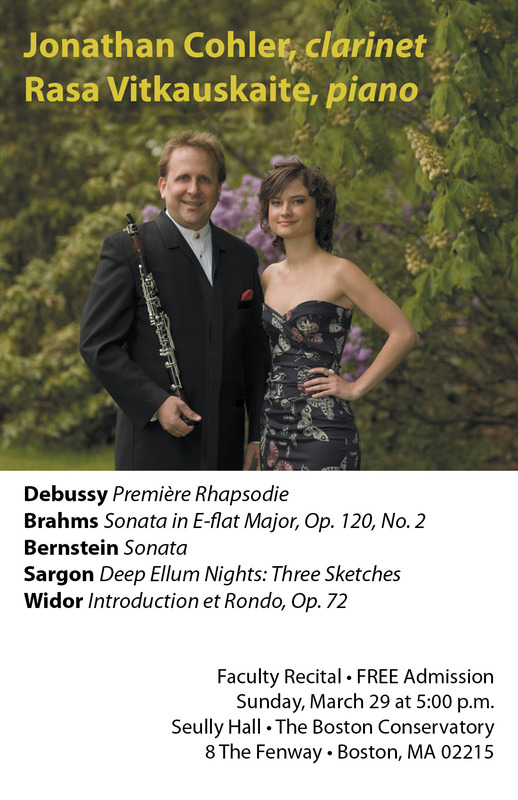 The program included Franck Sonata in A Major, Sargon Deep Ellum Nights, and Widor Introduction et Rondo, Op. 72. As usual my pianist was the wonderful Rasa Vitkauskaite! Click on the poster to the left for more information on the festival. The salsa dancing in Mexico City was great! A fter Caracas, I headed straight out to Logan, Utah where I played a performance of the Messaien Quartet for the End of Time and the Beethoven Trio in B-flat Major, Op. 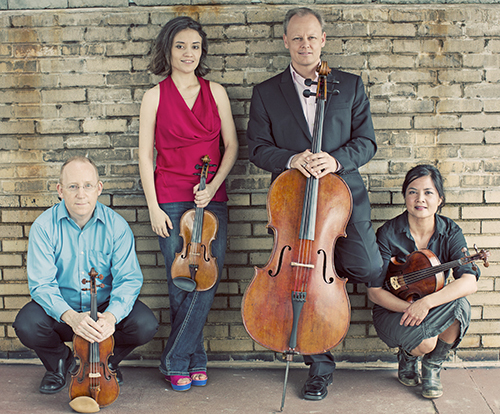 11 with the renowned Claremont Trio on the concert series of the Chamber Music Society of Logan. The concert was at 7:30pm on November 18, 2009 in the Manon Caine Russell Kathryn Caine Wanlass Performance Hall on the campus of Utah State University. 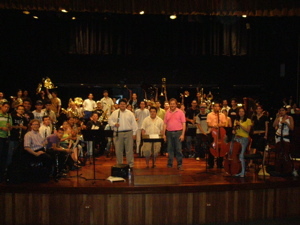 F rom November 1 to November 15, 2009 I was in Caracas, Venezuela conducting the Simon Bolivar Orchestra, playing a recital with Rasa Vitkauskaite, and performing the Morton Gould Derivations with the Simon Bolivar Big Band in honor of Benny Goodman's 100th birthday. The orchestra concert included Beethoven Symphony No. 6, Arismendi Concerto, Ravel La Valse, and Corigliano Concerto, and it took place on Saturday, November 7 at 5:00pm in Simon Bolivar Hall at the Centro de Acción Social por la Música in Caracas. The Facebook event page is HERE. Our recital on Monday, November 9 at 6:30pm in Concert Hall No. 2 of the Centro de Acción Social por la Música in Caracas included Schumann Sonata No. 1 in A Minor, Op. 105, Martinu Sonatina, Bernstein Sonata, and Bassi Rigoletto. The Facebook event page is HERE. 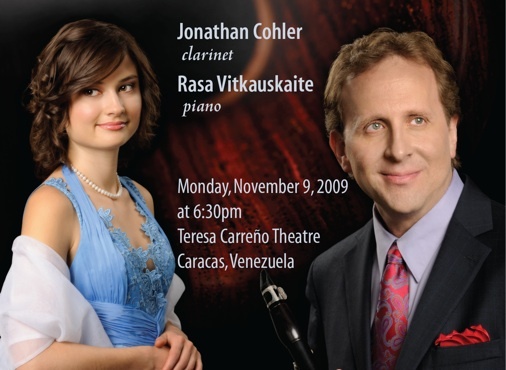 The Morton Gould performance was on Sunday, November 8 at 5:00pm at the Humboldt Cultural Association in Caracas. I hope you enjoy them and would certainly appreciate any feedback that you may have! O ur new CD Romanza should be back from the factory by the end of April. Stay tuned! 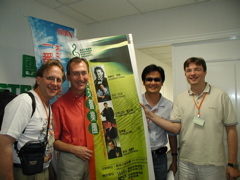 F rom August 17 to 25, 2009 we were in China, where I was one of the featured artists at the International Clarinet and Saxophone Festival in Taiyuan, playing the same recital with Rasa and teaching masterclasses. 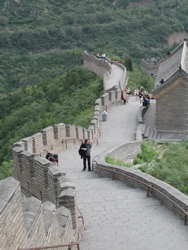 We visited an ancient city an hour away from Taiyuan in Shanxi Province and then in Beijing, we saw Tiananmen Square, The Great Wall (at Badaling), and the Forbidden City. The students in China are amazing! We look forward to our next trip back there. O n August 13, 2009 at 2:30pm, Rasa Vitkauskaite and I played a recital at the beautiful Casa da Musica in Porto as part of the International Clarinet Association's ClarinetFest. The program included Schumann Sonata in A Minor, Op. 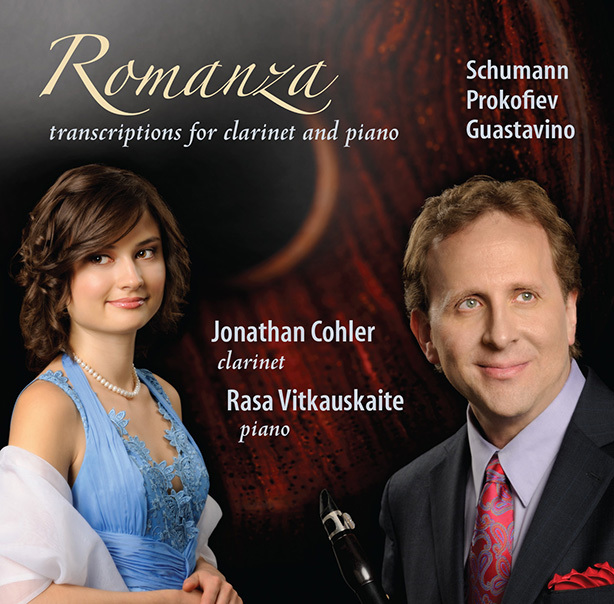 105 (from our coming CD Romanza), Wilson Liquid Ebony, Messager Solo de Concours (from our award-winning CD Rhapsodie Francaise), Arnold Sonatina, and Lovreglio Fantasy on Themes from "La Traviata". The Facebook event is here. Then at 9:30am on August 14, I taught an open masterclass at the Conservatory of Music in Porto. I also judged the final round of the International Clarinet Association's Young Artist Competition. Luckily, we had a little bit of free time, so we were able to check out the beaches in Espinho and Matosinho where we also ate some great seafood! I n the July-August 2009 issue of American Record Guide, there was a stellar review of our CD Jonathan Cohler & Claremont Trio. 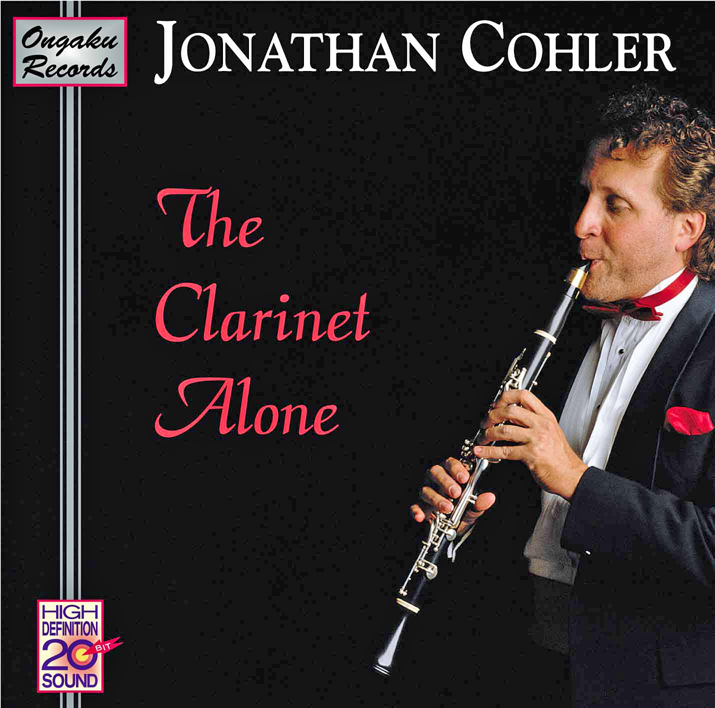 "The Boston-based clarinetist Jonathan Cohler always seems to put on a good show, and he does here...Cohler and his collaborators have a professionalism and artistic commitment that is difficult to match... 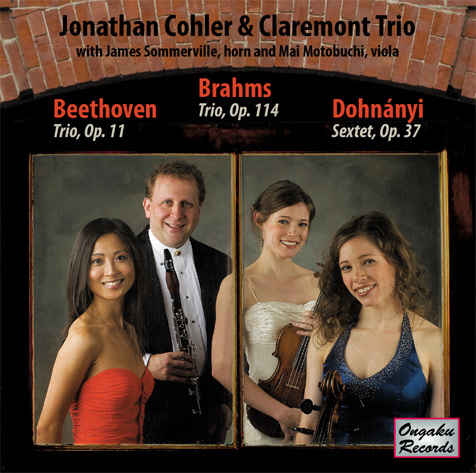 While there will never be a shortage of recordings of the Beethoven and Brahms trios for clarinet, cello, and piano, these renditions by Cohler, Kwong, and Julia Bruskin may rank among the best. The Beethoven sparkles with daring tempos, driving intensity, and a highly expressive lyricism... The Brahms, too, is deeply moving...the Dohnanyi... Cohler and his colleagues make it a treat to hear, finding a remarkable balance between contrapuntal clarity and late romantic fire." "spirited, stylish account of Beethoven's early Trio, and a performance of the late Trio by Brahms which generates real intensity through subdued dynamics, eloquent phrasing and responsive teamwork...altogether a splendidly enjoyable programme, with Cohler's extensive notes...an interesting bonus." T he CD was also recently featured on Minnesota Public Radio's Classical Tracks in a story by Julie Amacher. 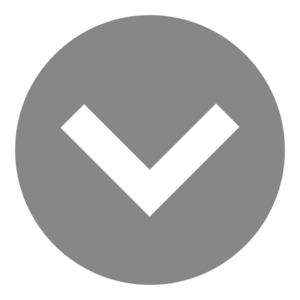 Minnesota Public Radio® is one of the nation's premier public radio organizations. With headquarters in the heart of downtown St. Paul, Minnesota Public Radio operates a regional network of 38 stations, covering Minnesota and parts of Wisconsin, the Dakotas, Michigan, Iowa and Idaho. With 850,000 listeners each week, it has the largest audience of any regional public radio network. 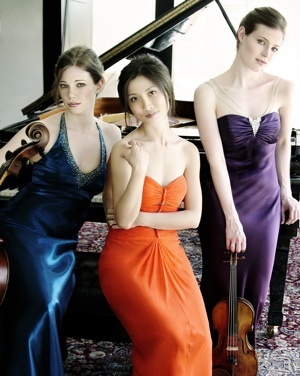 For more info on the fabulous Claremont Trio see their website at http://claremonttrio.com/. 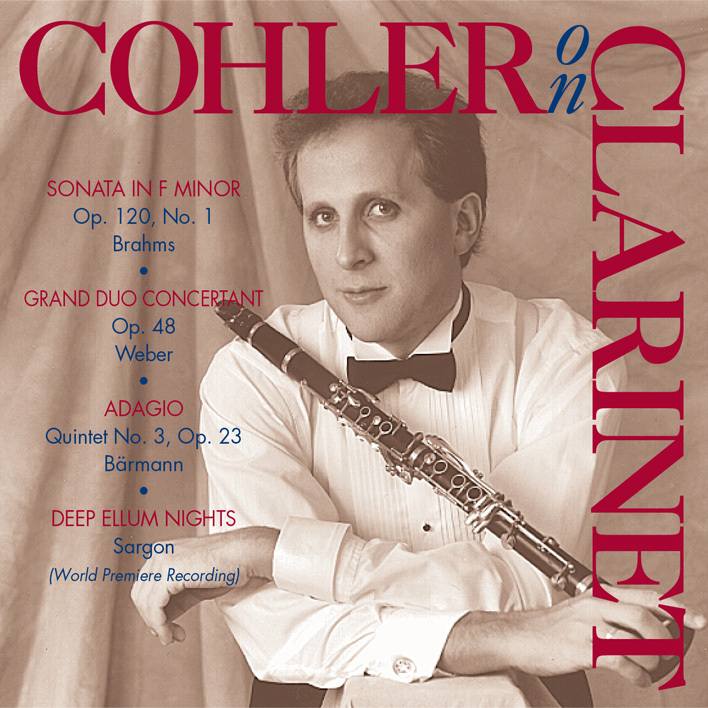 "This CD is the sixth solo recording released by Cohler and adds to the growing list of definitive interpretations he has made of major works from the clarinet repertoire." 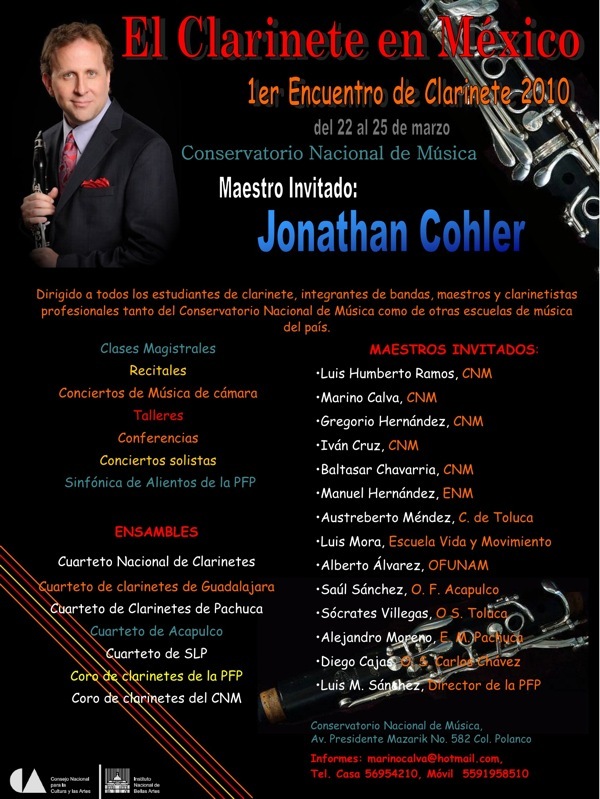 "Jonathan Cohler is an acclaimed soloist and chamber musician. He has been heard in concerts around the world. His many recordings have been lauded by publications including the American Record Guide, BBC Music Magazine and Gramophone... His collaborator in this recording is Lithuanian-born pianist Rasa Vitkauskaite. Initially trained in Vilnius, and later in Italy and at the Boston Conservatory, she has won top prizes at international piano competitions including the Rubinstein, Les Rencontres Internationales des Jeunes Pianistes and the Mendelssohn Cup. The success of the collaboration of these two world-class artists is unquestionable and on vivid display throughout this CD. 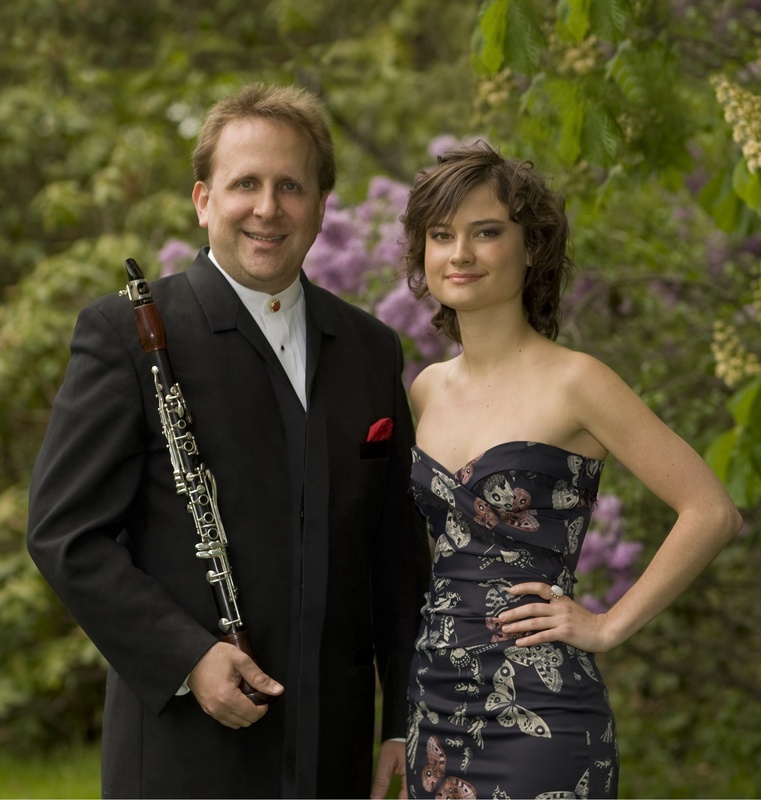 The duo's performances achieve an ideal blend of elegance, delicacy, and joie de vivre. The listener is struck by the easy virtuosity and inherent musicality of every performance, and by the sensitivity and subtlety of Cohler and Vitkauskaite's ensemble work." "...flawless...dazzling...sensitivity and grace...sparkling performances...Rhapsodie Francaise is a CD worthy of any collection." 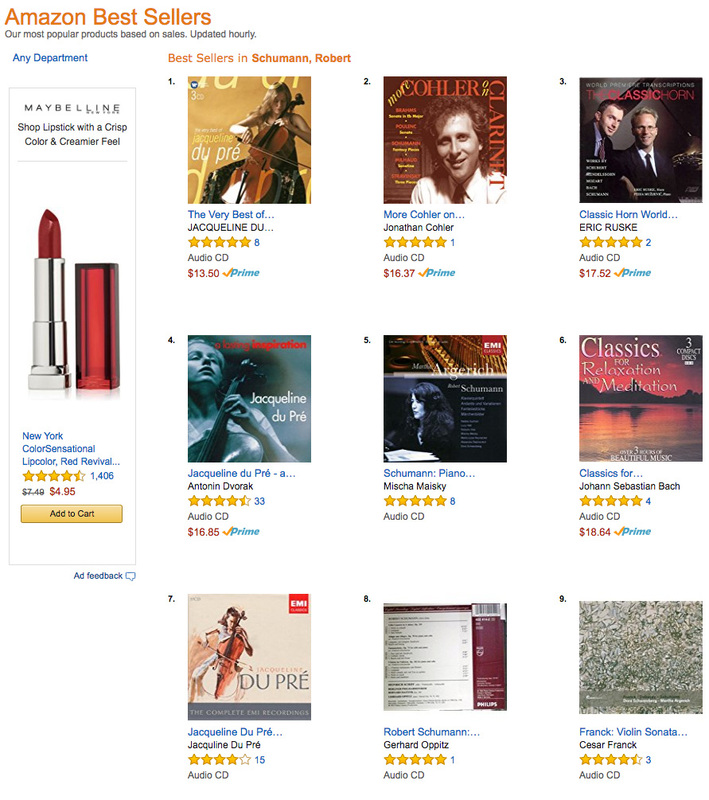 O ur CD Rhapsodie Francaise was chosen for Classical 94.5 WNED (Buffalo/Toronto) 2008 "Best of the Year" classical CDs. 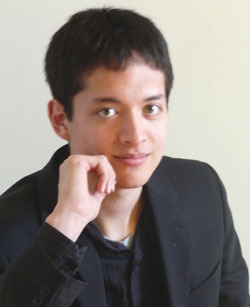 Program host Peter Hall selected Rhapsodie as one of only three CDs as his choices for the "Best of the Year". Altogether the hosts and producers chose a total of 30 CDs, each choosing just two or three. Some of the other artists chosen for the honor include Yo-Yo Ma, Luciano Pavarotti, Helene Grimaud, Gustavo Dudamel with the Simon Bolivar Orchestra, Claudio Abbado with the London Symphony Orchestra, Pierre Fournier, Leonid Kogan, Mstislav Rostropovitch, Emil Gilels, and James Galway. T he July/August 2009 issue of Fanfare Magazine contains a nice recommendation of my recording of the Hindemith Sonata and Honegger Sonatina recordings on Moonflowers, Baby! as their preferred recordings of the works! Check out the full Fanfare review here in their online archives (subscription required). A t the end of March 2009, Rasa and I returned from a wonderful tour of Asia where we played concerts in Beijing, Shijiazhuang, Shanghai and Tokyo. Our following recital at Seully Hall in Boston included much of the music that we played on tour plus some other pieces. 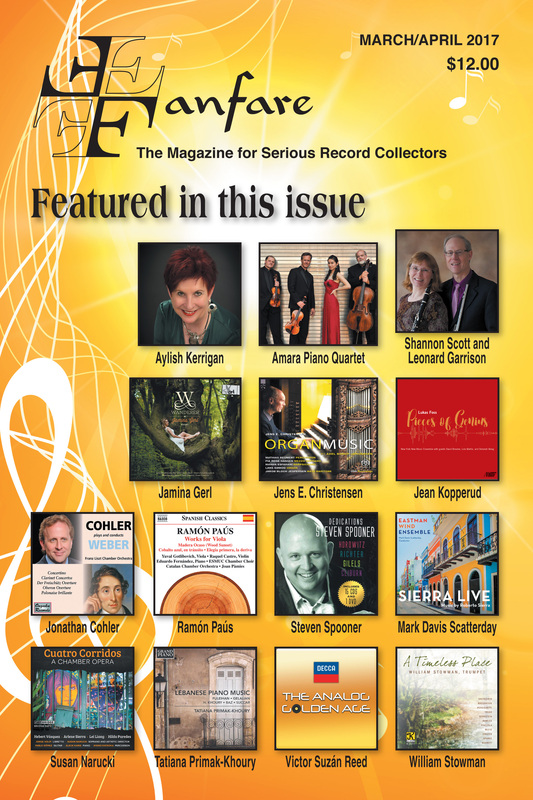 The concert also included two pieces from our CD Rhapsodie Francaise which just received a great write-up in the March/April issue of Fanfare Magazine(subscription required). O ur March 12-22, 2009 Tour of Asia was a big success!! Thank you to all of our wonderful sponsors for making this tour possible! Here is more info on the tour schedule and repertoire too. For Facebook users, check out the Facebook event page for it here. This is the tour poster made our top sponsor Gao's Royal Musical Collection. Hope you like it!. On Sunday, February 1, 2009 at 7pm, I played a recital with Rasa Vitkauskaite in Pickman Hall at The Longy School. Here is a video clip of one of our favorite pieces from the concert! For more info, check out the Facebook event page here. We also played live on WGBH radio on Thursday, January 29, 2009 at 3pm on the show Classical Performances hosted by Richard Knisely. If you missed, the show, you can listen to it here. NEW CD with Claremont Trio! M y new CD Jonathan Cohler & Claremont Trio (Ongaku 024-122) is out! You can listen to sound clips on the Ongaku Records website and place orders for the disc now! This CD was made in collaboration with the renowned Claremont Trio and includes the Brahms and Beethoven trios and the Dohnanyi Sextet with violist Mai Motobuchi (of the Borromeo Quartet) and hornist James Sommerville (of the Boston Symphony Orchestra). F rom December 2 to 6, 2008, I spent an exciting week conducting the Simon Bolivar Symphonic Band, and teaching masterclasses for the Clarinet Academy of Simon Bolivar University. With the band we did an exhilirating performance of Bernstein's Slava!, Ives' Variations on America, Copland's El Salon Mexico, John Williams' Star Wars Trilogy, Holst's Mars and Jupiter from The Planets, and Rimsky-Korsakov's Capriccio Espagnol. The already short rehearsal schedule of 5 days, was shortened to 4 when airplane delays caused me to miss my connections to Caracas! Despite that and the huge difficulty of the program, the group gave a stellar performance! The musical spirit and talent in Venezuela is just electrifying. I'll definitely be headed back there again soon!! M y CD, Rhapsodie Française, is out, and it includes most of the core repertoire of the "French school." The pianist on the CD is an amazing young multiple prize winning Lithuanian pianist named Rasa Vitkauskaite. 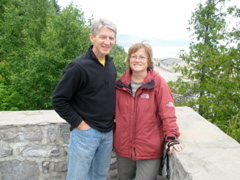 She and I are planning to make several more CDs in the coming seasons. It is already available for orders on the Ongaku Records website as well as from Amazon and CD Baby among others. I posted MP3's of several of my recent live performances on my Recordings page. Click here or access "Recordings" in the menu above. 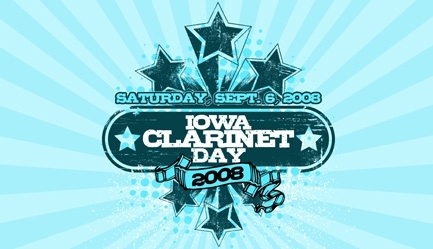 I n September 2008, I was the featured artist at the Iowa Clarinet Day 2008. It was my first trip to Iowa and I had a great time! 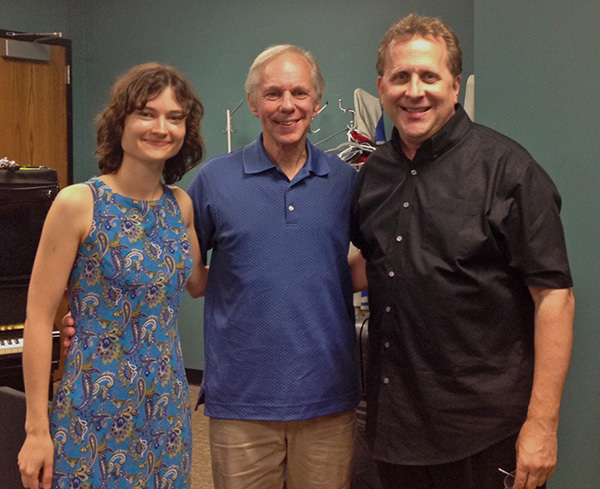 Pianist Rasa Vitkauskaite joined me in a recital there on September 6, and I also taught several masterclasses at both Drake University in Des Moines and Central College in Pella. Visiting Pella was like walking on a movie set! What a beautiful place, and the students were wonderful. Thanks go to Cynthia Doggett and Clarence Padilla for organizing such a wonderful event!! 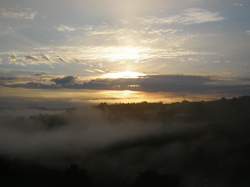 I n June 2008, I taught and performed at the beautiful Domaine Forget festival in St. Irenée, Quebec. The students there were wonderful, the festival was expertly managed and organized and all of my colleagues were world class! I spent a wonderful week teaching along side Marie Picard and Lawrie Bloom. While there I also had the great opportunity to perform Stockhausen In Freundschaft on a special Stockhausen memorial concert. That was a special treat. My last night there I had the great privilege of hearing the phenomenal pianist Gabriela Montero play several breathtakingly beautiful and amazing improvisations based on themes offered from the audience. Wow! I will remember that forever. 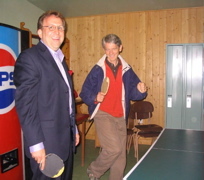 Lawrie, Marie and I had a great time working together both in teaching clarinet and winning at ping pong! And Marie Picard was the most gracious host ever! I n November 2007, I was in Caracas, Venezuela for 10 days. While there I conducted a wonderful performance of the Simon Bolivar Symphonic Band playing Respighi Pines of Rome and Shostakovich Symphony No. 5 Finale, as well as the Rimsky-Korsakov Clarinet Concerto with soloist Jorge Montilla and several other works. I also taught masterclasses every day as part of the new Masters Degree program in clarinet of the Universidad Simon Bolivar. Pictures of the band, soloists, me, the students, my masterclasses and the dancing afterwards are all here! 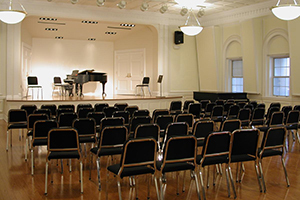 O n October 7, 2007, I played a faculty recital at the Longy School of Music. 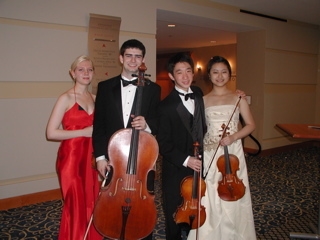 Joining me on the program was a fabulous young piano trio with Judith Lee (violin), Tess Remy-Schumacher (cello) and Christopher Cooley (piano). A few pictures from the reception after the concert are here. I n July 2007, I taught and performed at the International Winter Festival of Campos do Jordao, Brazil where the weather was cooler than last year (sometimes as low as 32 degrees F at night) but when it was beautiful and sunny in the day time, it was more like ~75 degrees F. I had six wonderful fellowship students there from Brazil, Venezuela, Argentina and Costa Rica. I conducted a performance of the Dvorak Serenade for Winds, Op. 44. Here are the 200+ pictures I took while there. C larinetFest 2007 took place in Vancouver, Canada from July 4 to 8 on the campus of the University of British Columbia. A good time was had by all. I played a recital there in the beautiful Chan Centre for the Performing Arts and taught a musical interpretation masterclass featuring some of the contestants (and winners!) of the orchestral and solo competitions. 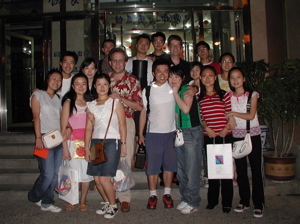 O n June 30, 2007, I returned from a two-and-a-half-week tour of China with the Youth Philharmonic Orchestra of NEC. As always, this YPO tour was a thrilling experience for all involved. The orchestra played 12 concerts in 14 days in 10 cities! We visited Beijing, Shichiazhuang, Tianjin, Shenyang, Anshan, Yingkou, Chongqing, Suzhou, Ningbo, and Shanghai. I took more than 600 pictures of the tour, so you can see them and make prints from snapfish.com by clicking here. 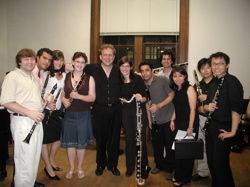 I WWF 2007 was a blast from May 29 to June 10 at the Boston Conservatory. Check out this live performance of the Ponchielli Il Convegno with me and Jessica Phillips (New York Metropolitan Opera). To view and get prints of pictures from IWWF 2007 click here for my photos or click here for Kathleen's photos. The clarinet faculty included yours truly, Valdemar Rodriguez (Simon Bolivar Orchestra), Jessica Philipps (New York Metropolitan Opera), Robert Spring (soloist), and Michael Norsworthy (soloist, Boston Conservatory). We also had the brilliant, young Claremont Trio in residence and three fabulous pianists: Shizue Sano, Eliko Akahori, and Yoko Kida. Here's a live performance of me with the Claremont Trio playing the sixth Bruch piece! 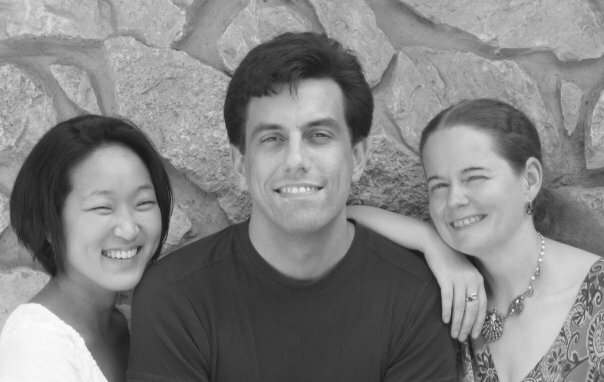 From left to right, that's Julie Bruskin (cello), Emily Bruskin (violin), me, and Donna Kwong (piano). Here's a live performance of me with the Claremont Trio playing the third movement of Beethoven Trio, Op. 11! L isten to this live recording of me and Paquito D'Rivera playing his piece Contradanza from Paquito's Aires Tropicales Suite. Alon Yavnai is the formidable pianist. See if you can tell which one is Paquito and which one is me! I n May 2007, I took seven groups that I coach to compete in both the Junior and Senior Divisions of the Fischoff Competition. All seven made the Quarterfinals, three made the Semifinals and one of my groups, Attacca Quartet, won 3rd Prize in the Junior Division! For pictures of the trip, click here. 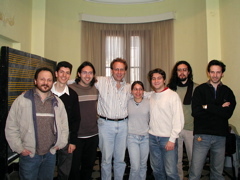 I n April 2007, I had an wonderful time in Caracas conducting the Simon Bolivar Orchestra! We did Bernstein's West Side Story Suite of Symphonic Dances to celebrate the 50th anniversary of that revolutionary, one-of-a-kind musical. Pictures here. Video clips to come. Stay tuned! I n January 2007, I had a transformational experience conducting the Texas All-State Orchestra in an incredible performance of Dvorak Carneval Overture and Bartok Concerto for Orchestra. What great people and what unbridled energy and talent! That was my first experience with a standing ovation following the overture! S ee my photos from the 2006 Festival Internacional de Inverno de Campos do Jordão in Brazil. I was there for a very exciting three weeks in July of masterclasses, conducting and concerts. I played the Mozart Concerto with the orchestra from Santo André and the Mozart Quintet as well as the Martinu Nonet. R ead the great story from The Enterprise on Sunday, April 23, 2006 here. 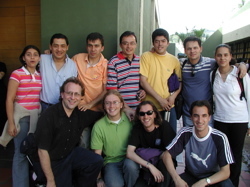 I n January 2006, I was in Caracas, Venezuela, where I conducted Shostakovich Symphony No. 5 with the Orquesta Sinfonica Simon Bolivar. Wow what an orchestra! The musical spirit in Venezuela is absolutely incredible. I also played a recital and taught several masterclasses there. I n summer 2005, I was in Japan and Taiwan where it was really hot! From July 16 to July 24, I was in Tama, Tokyo at the ClarinetFest and from July 30 to August 5, I was in Taipei at The 2nd International Clarinet Festival of Taiwan where I played the Copland Concerto with the Evergreen Symphony Orchestra at the National Concert Hall of Taiwan, a gorgeous hall. 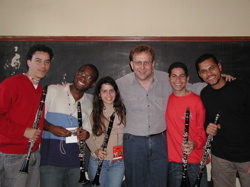 I n June 2005, I went on a tour of Venezuela and Brazil with the Youth Philharmonic Orchestra of New England Conservatory. 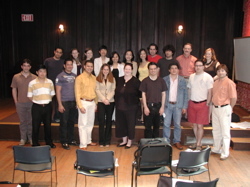 T he 2005 International Woodwind Festival from May 31 to June 12 in Boston at The Boston Conservatory was a big success. You can see pictures from the festival too. C heck out the video clip here from the Brockton Symphony Orchestra performance of the Rite of Spring in spring 2005 at Jordan Hall! I n March 2005, I was in Lisbon, Portugal.where the cod fish was great, and the people were even better! While there I performed and taught as part of the 8th International Clarinet Encounter of Lisbon. 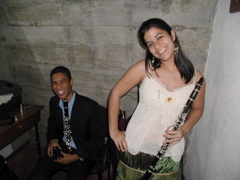 I n November 2004, I was in Caracas, Venezuela where I performed and taught at the 6th Festival de Jóvenes Clarinetistas Venezolanos. D uring the summer of 2004, I spent a week in Argentina and two weeks in China playing concerts, teaching, and conducting in Rosario, Buenos Aires, Yantai, and Changchun. Pictures from festival in Yantai. Pictures from festival in Changchun, China. 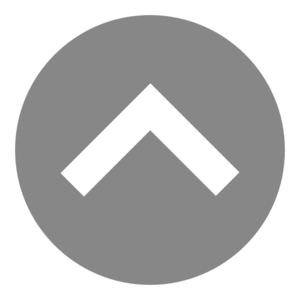 The site is updated regularly so stop by again soon!